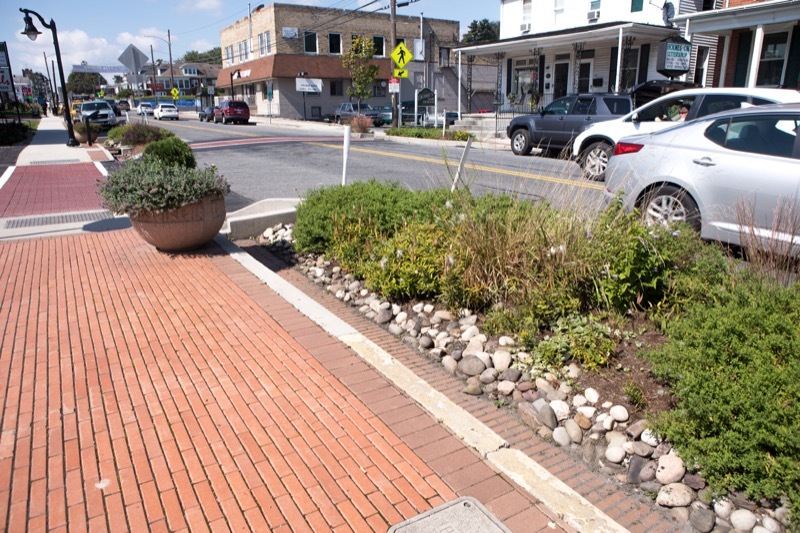 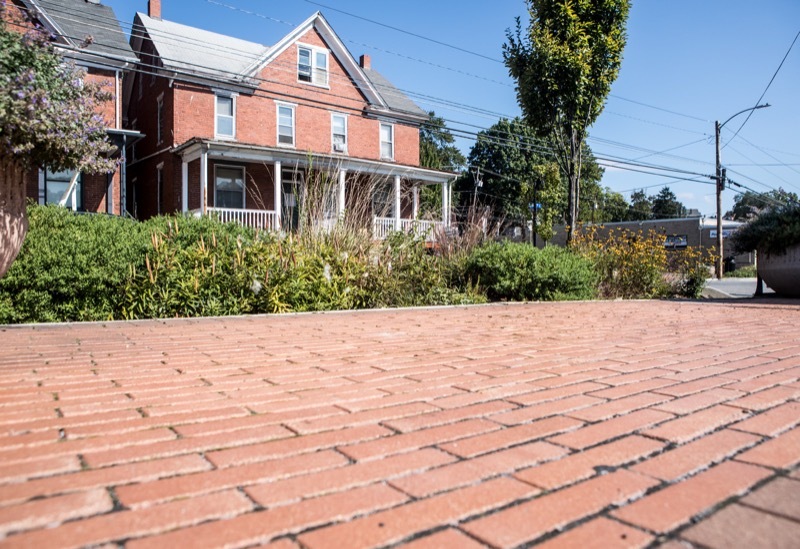 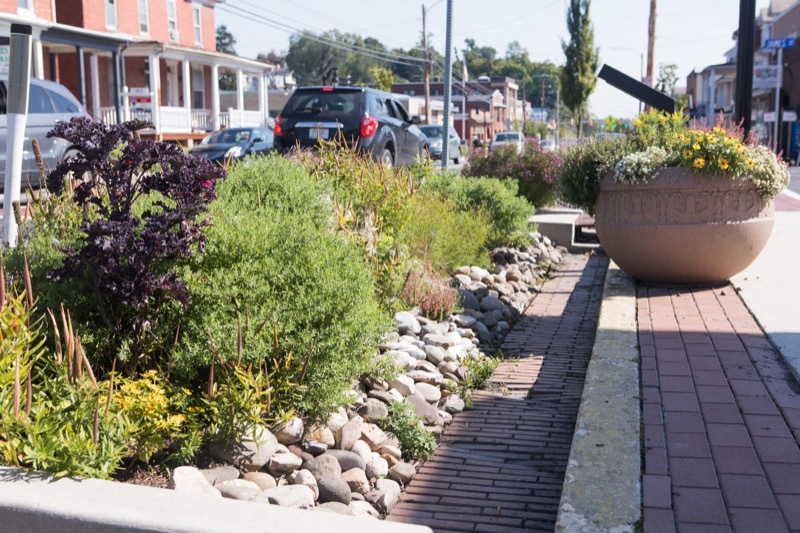 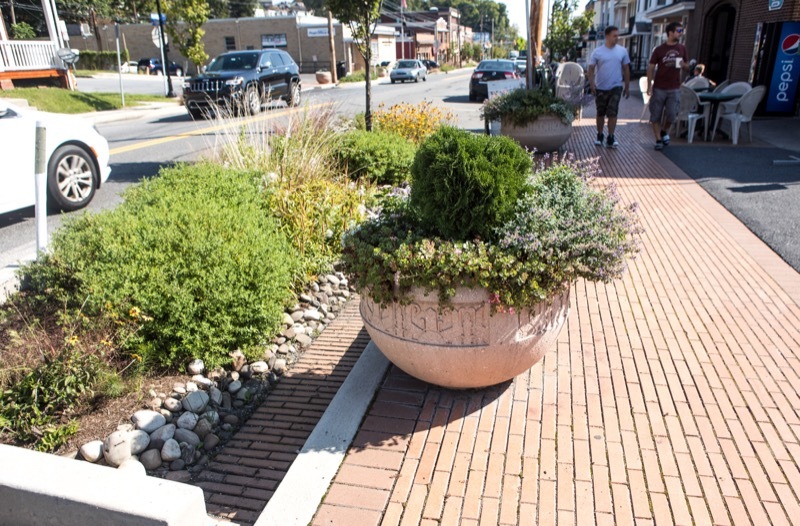 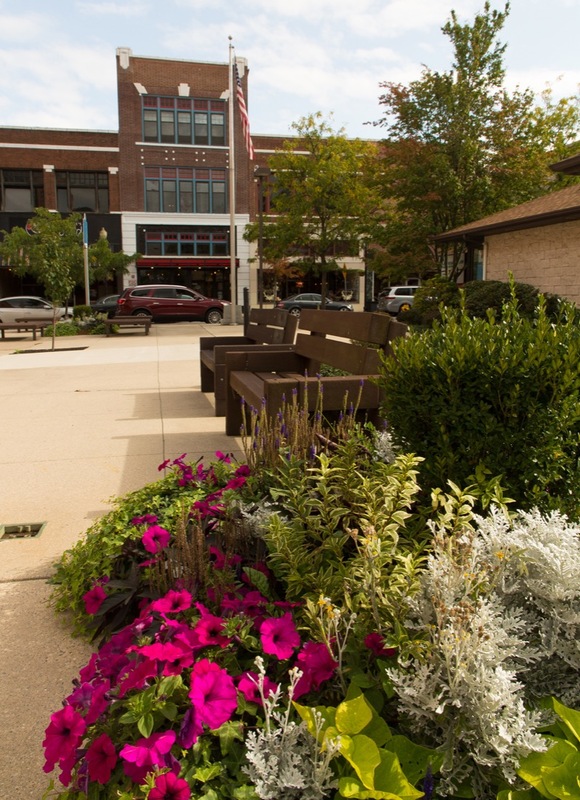 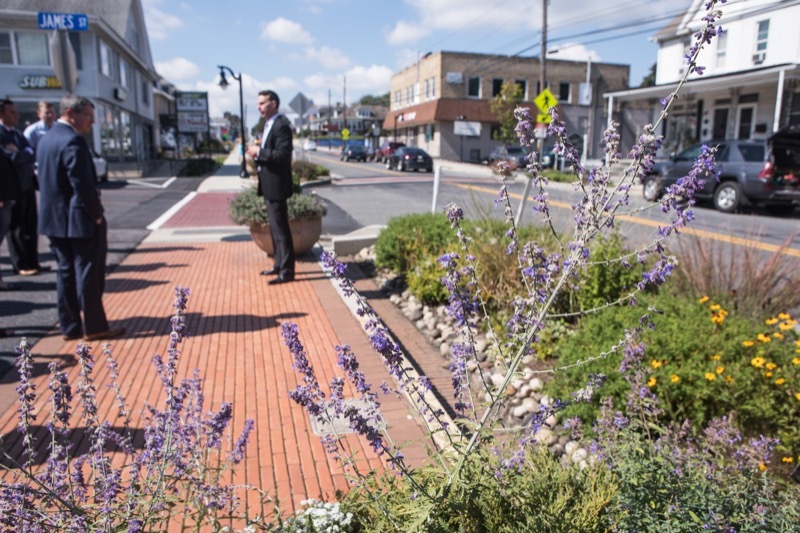 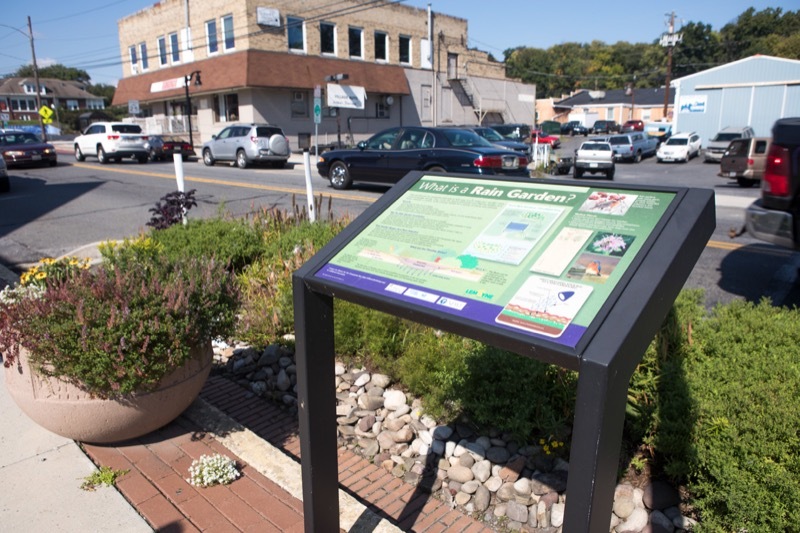 Department of Environmental Protection (DEP) Secretary Patrick McDonnell will be in Lemoyne Borough to salute efforts to reduce stormwater runoff pollution by municipalities statewide. 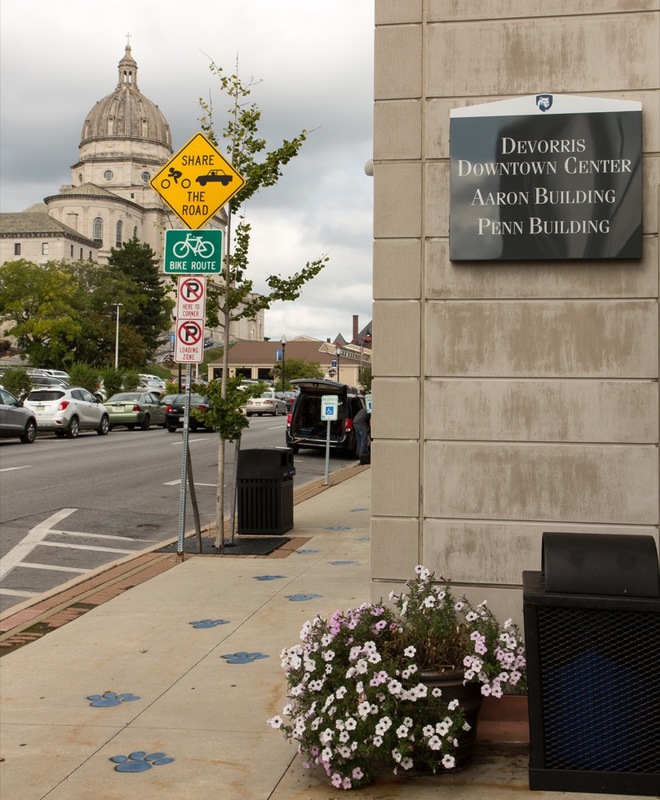 Hundreds of municipalities are striving to meet a Saturday deadline for MS4 permit applications and Pollutant Reduction Plans. 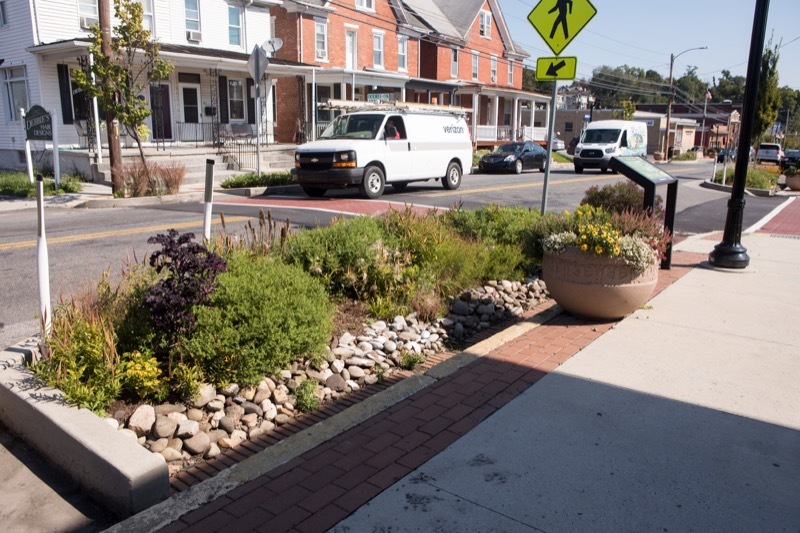 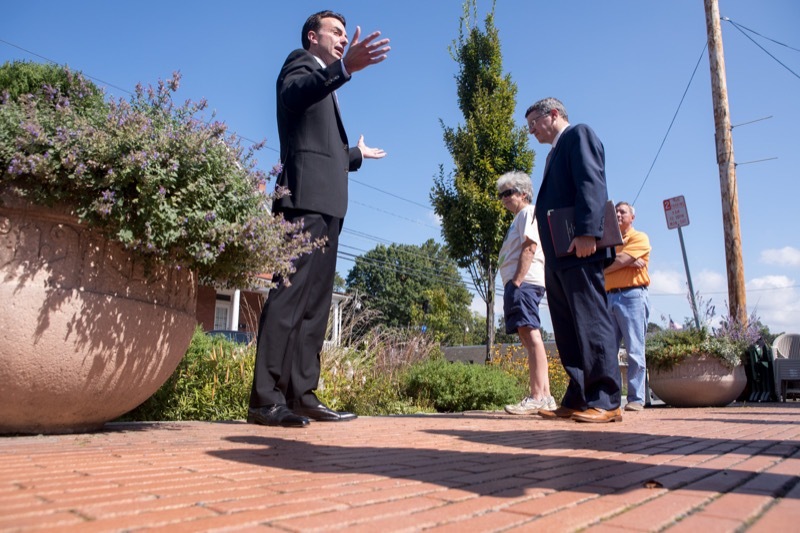 Today Department of Environmental Protection (DEP) Secretary Patrick McDonnell was in Lemoyne Borough to salute efforts to reduce stormwater runoff pollution by municipalities statewide. 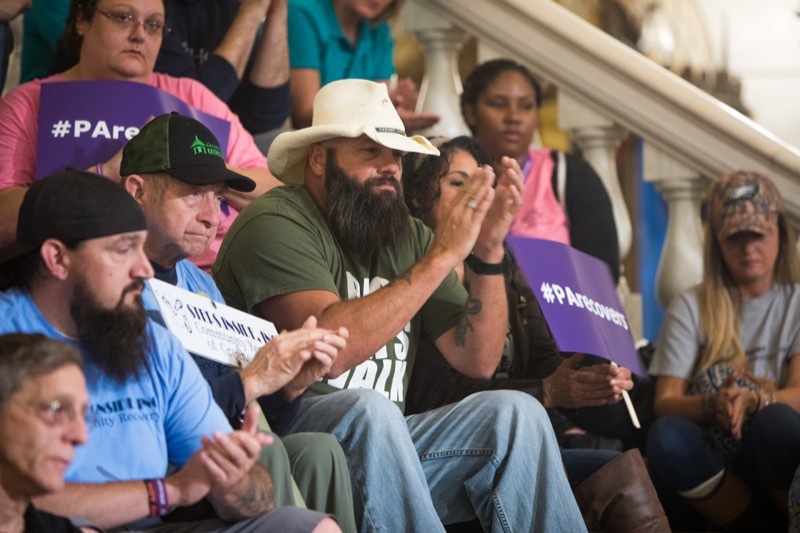 Hundreds of municipalities are striving to meet a Saturday deadline for MS4 permit applications and Pollutant Reduction Plans. 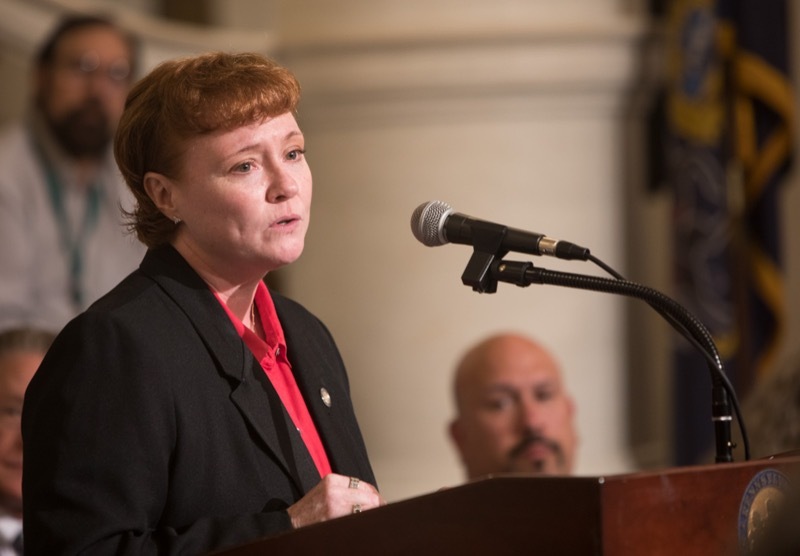 The system is broken. 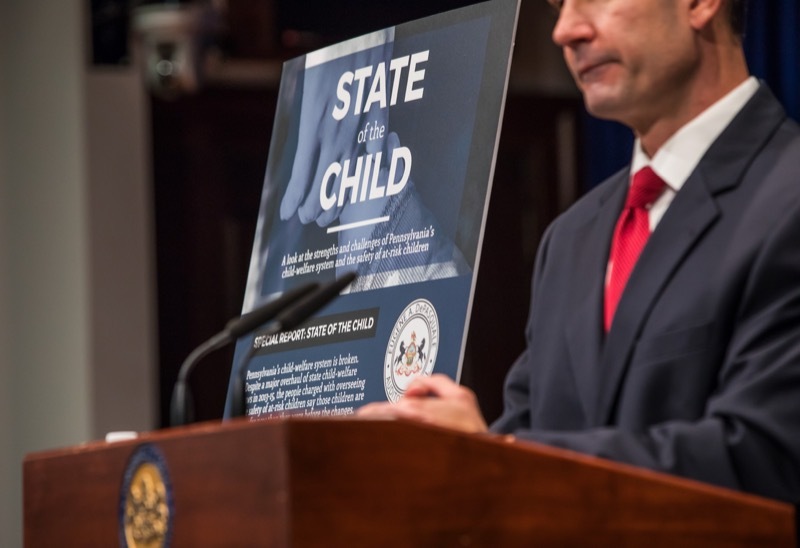 And Pennsylvania's at-risk children are not safe. 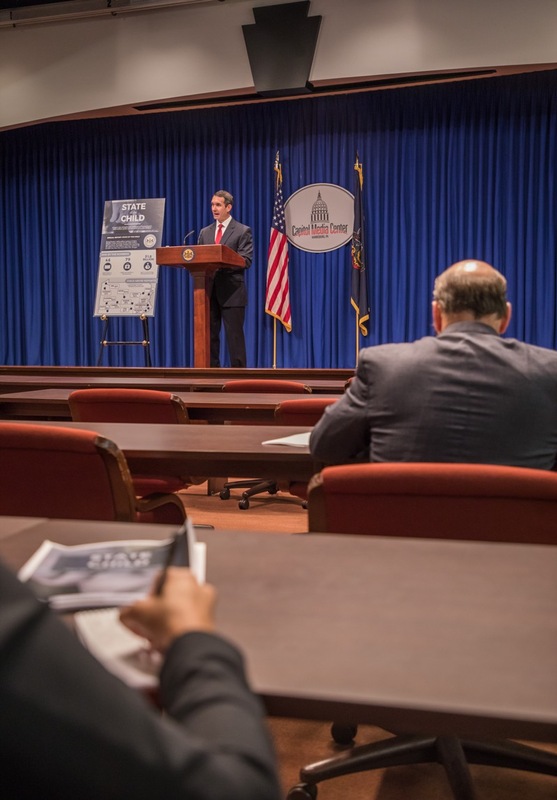 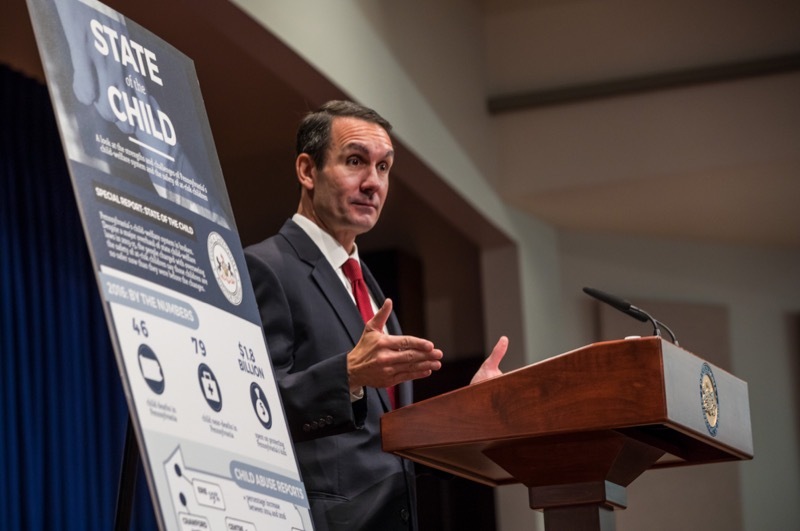 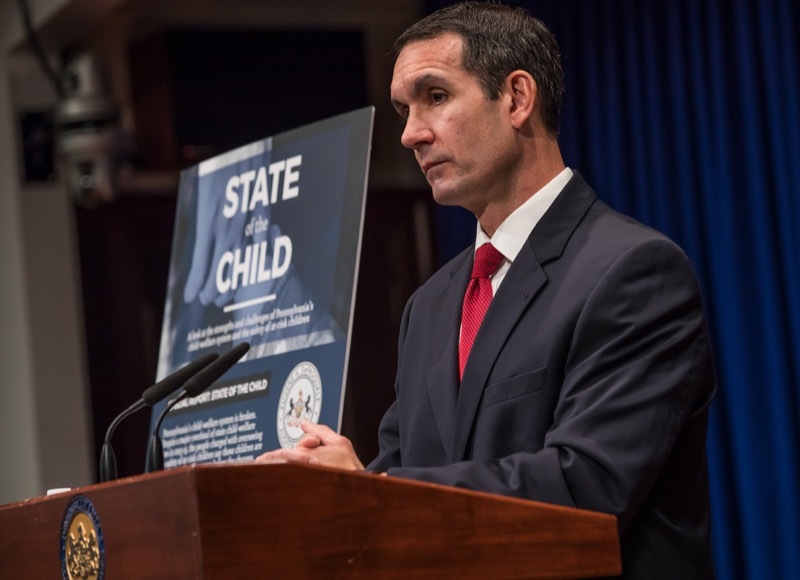 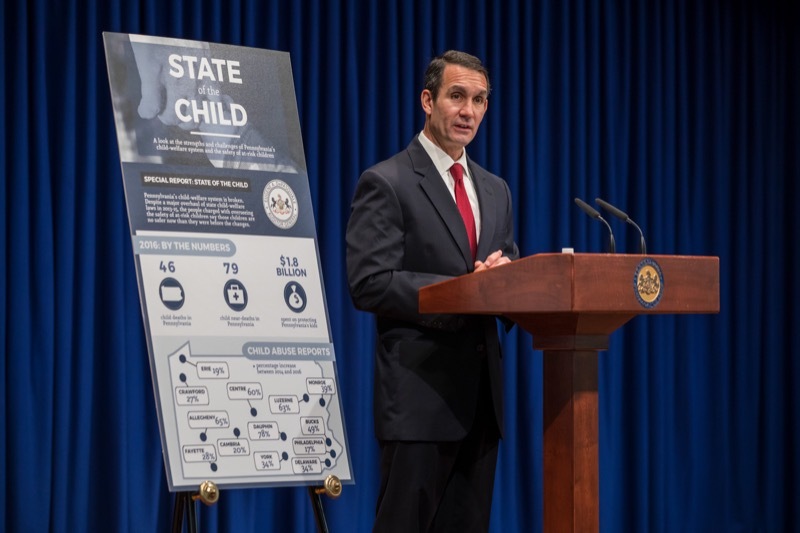 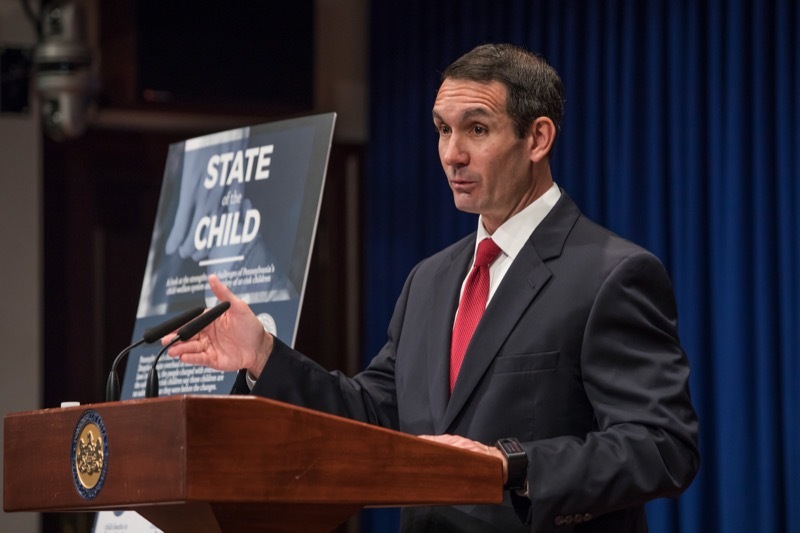 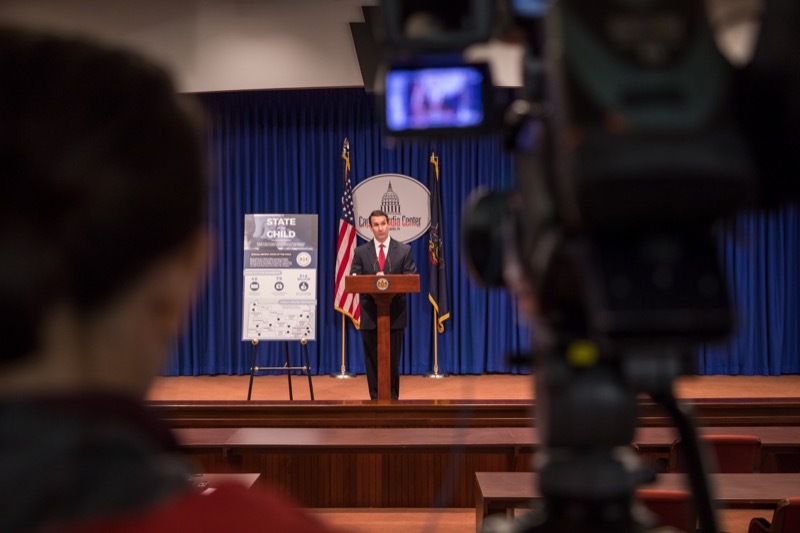 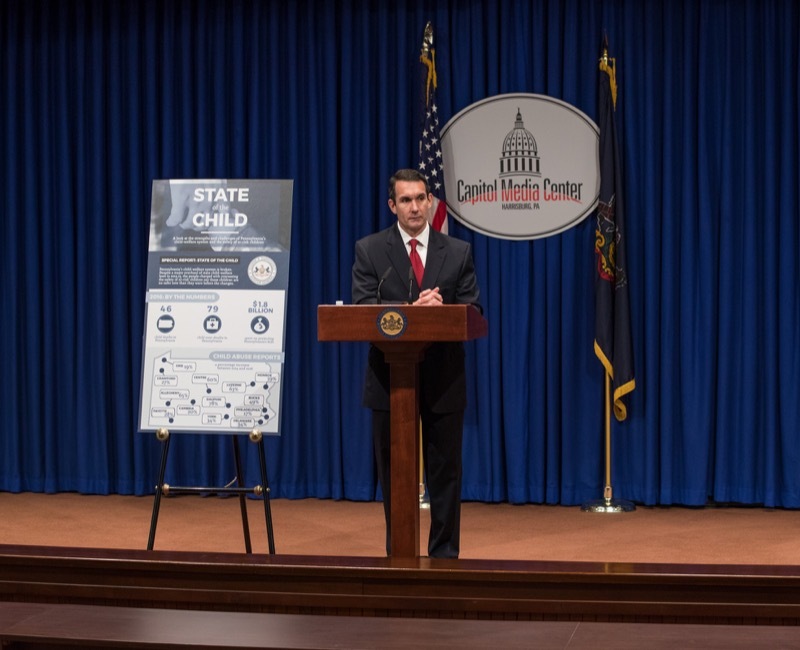 Auditor General Eugene DePasquale today said those facts are what a year-long review of Pennsylvania's children and youth services (CYS) system showed him. 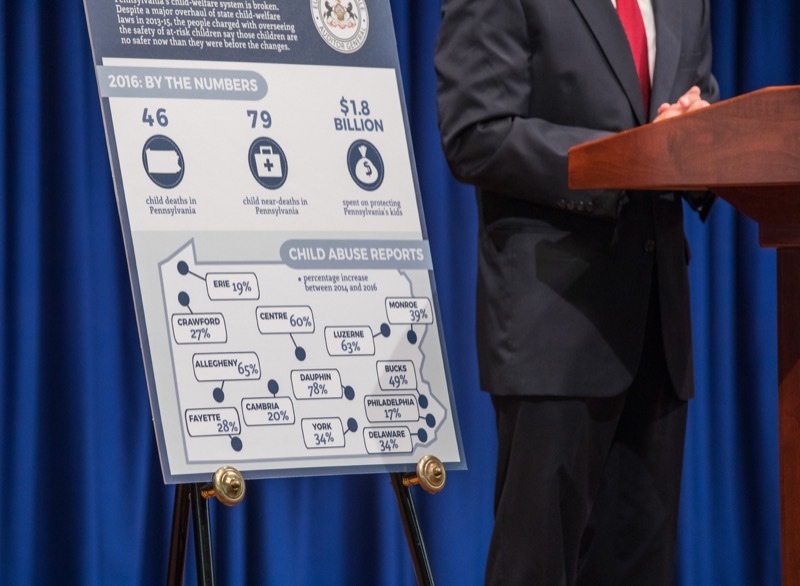 The system is broken. 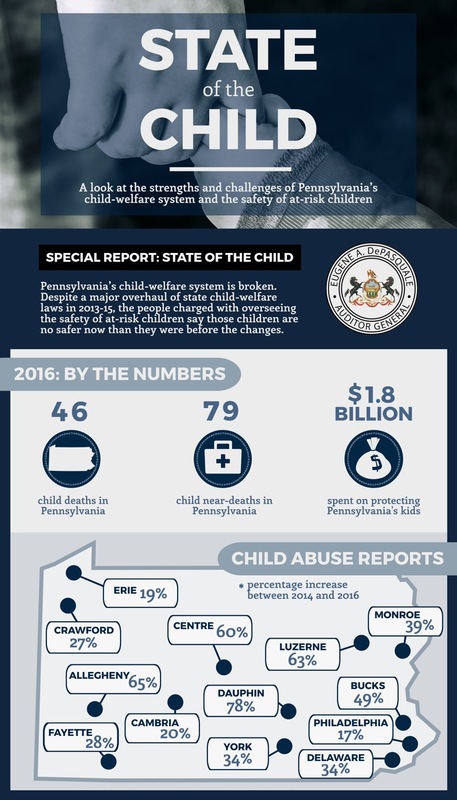 And Pennsylvania's at-risk children are not safe. 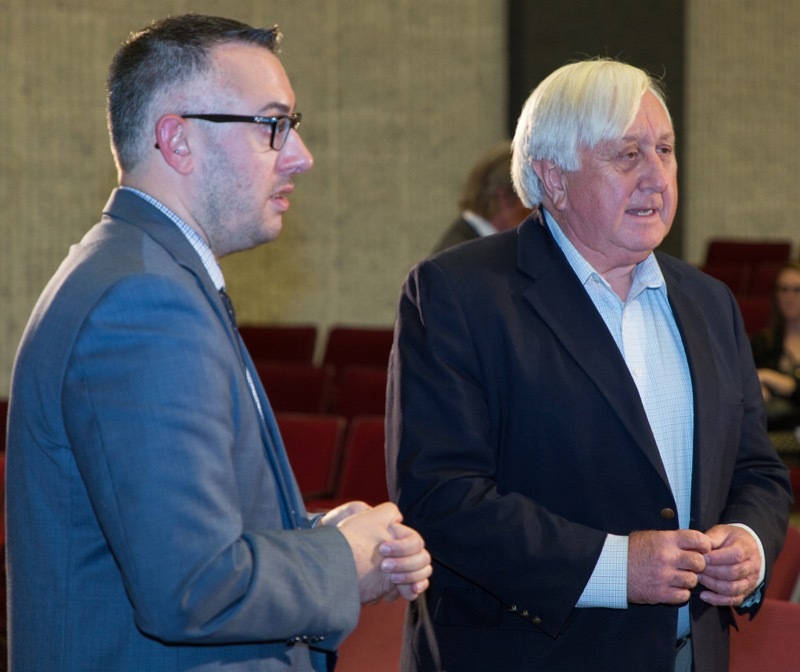 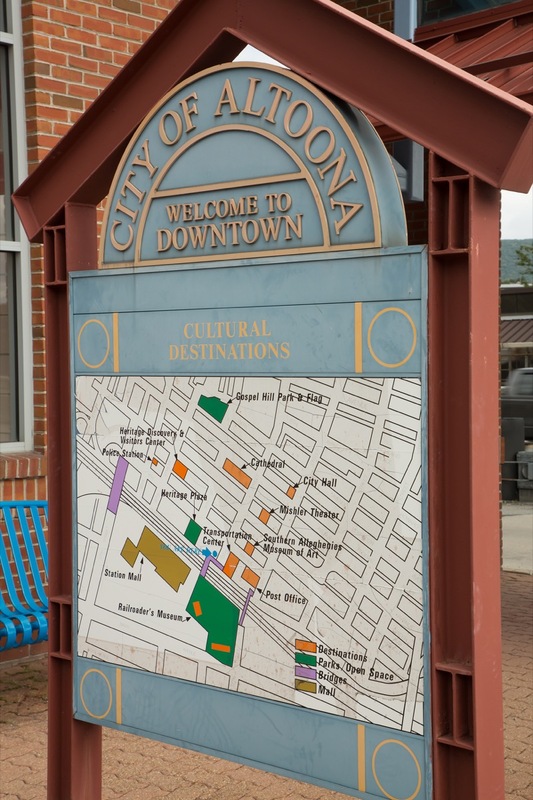 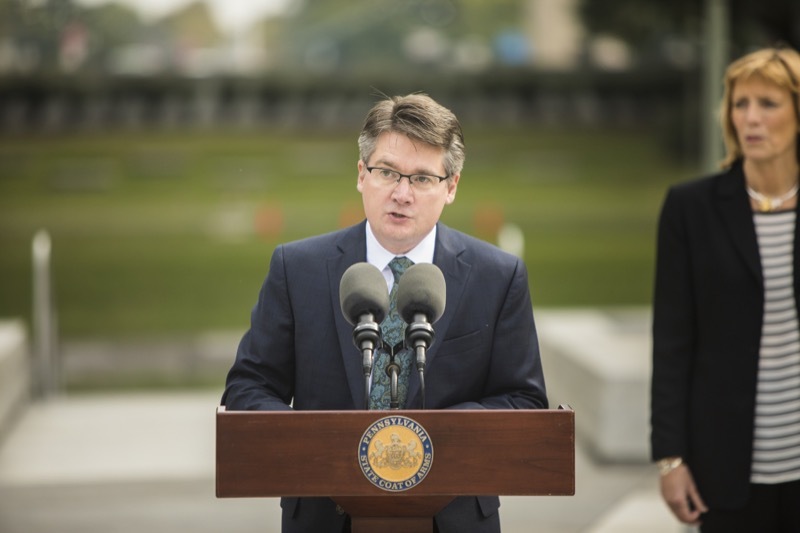 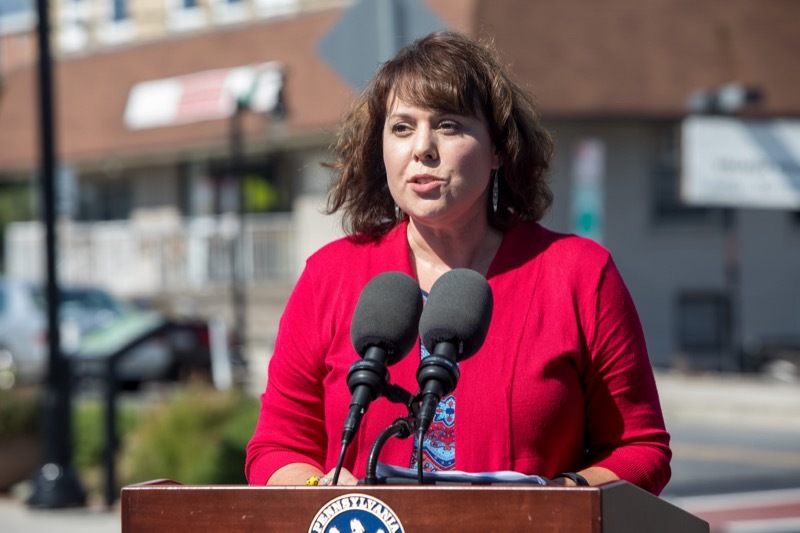 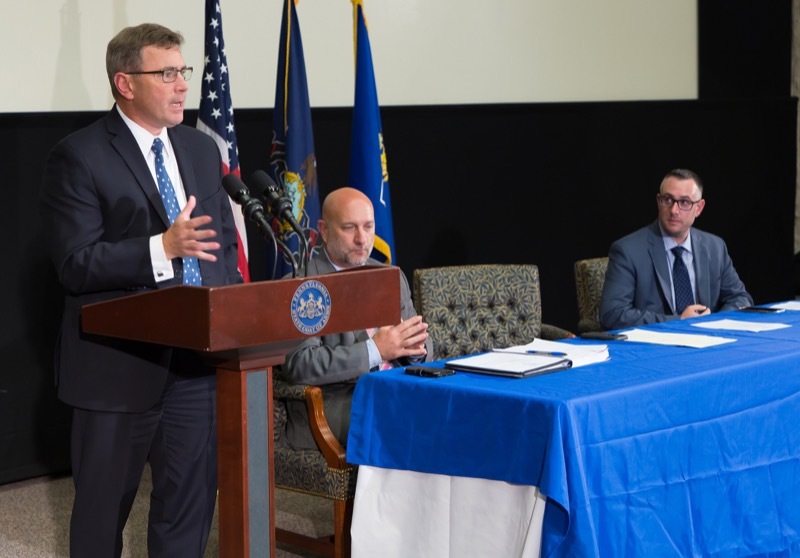 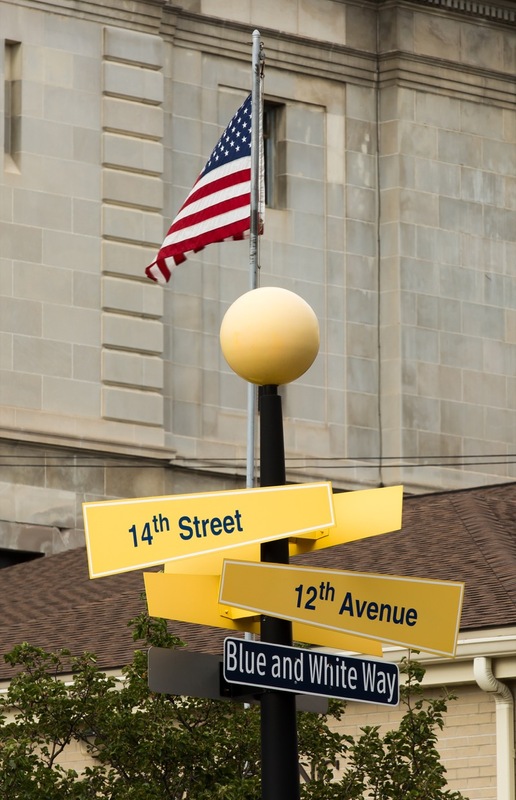 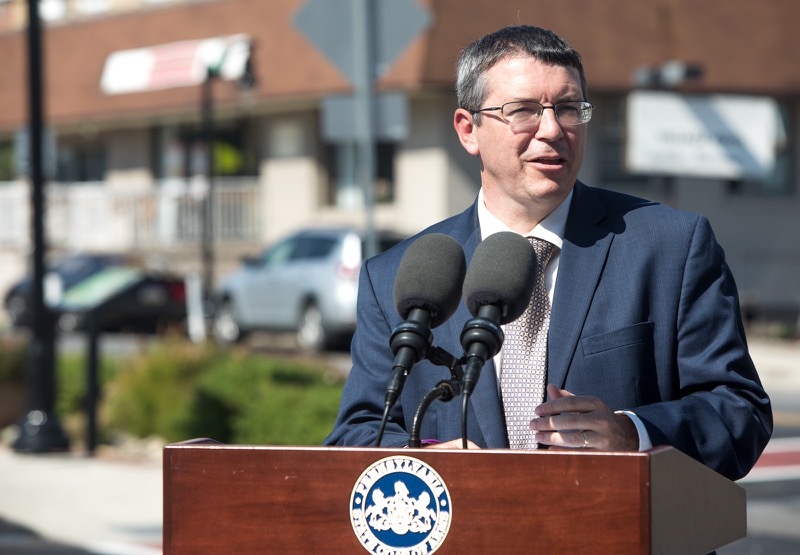 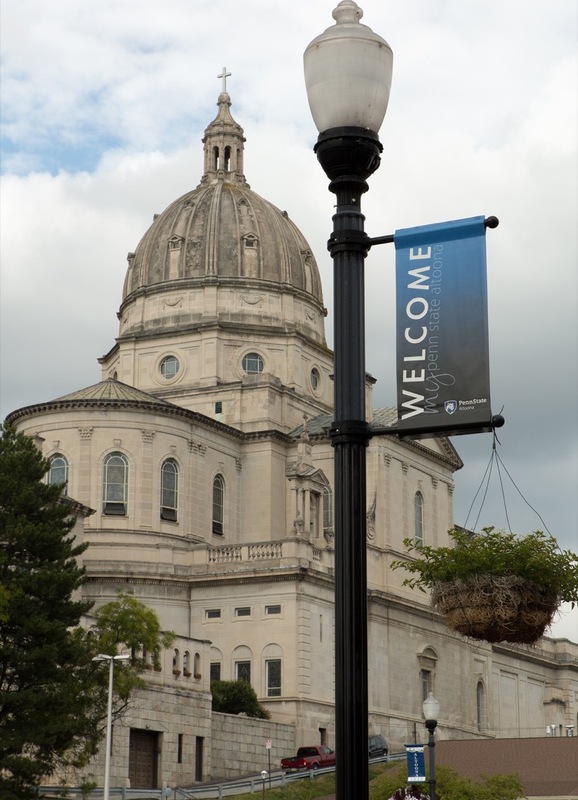 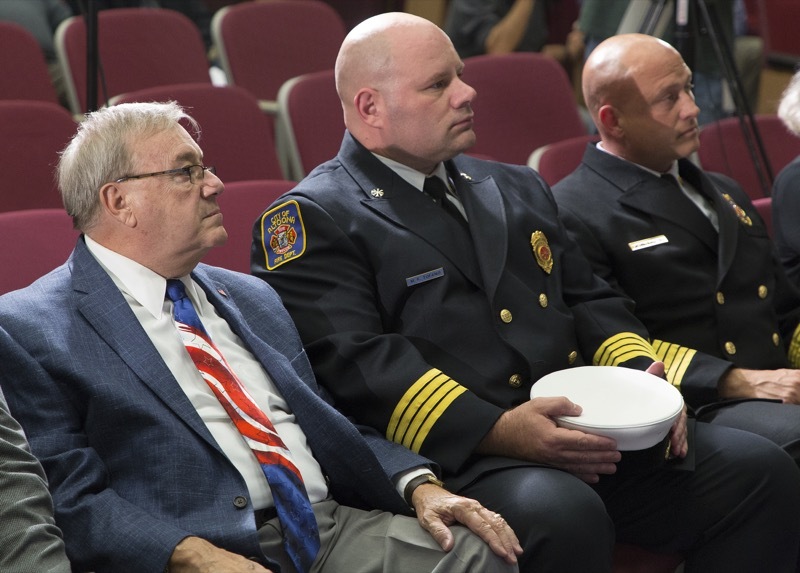 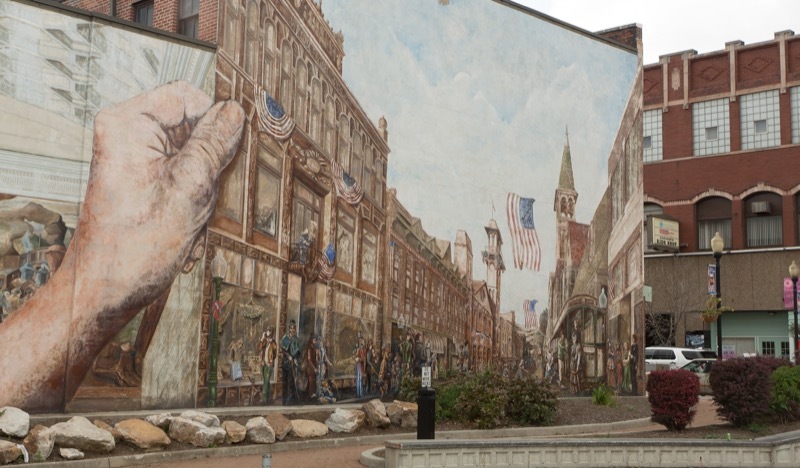 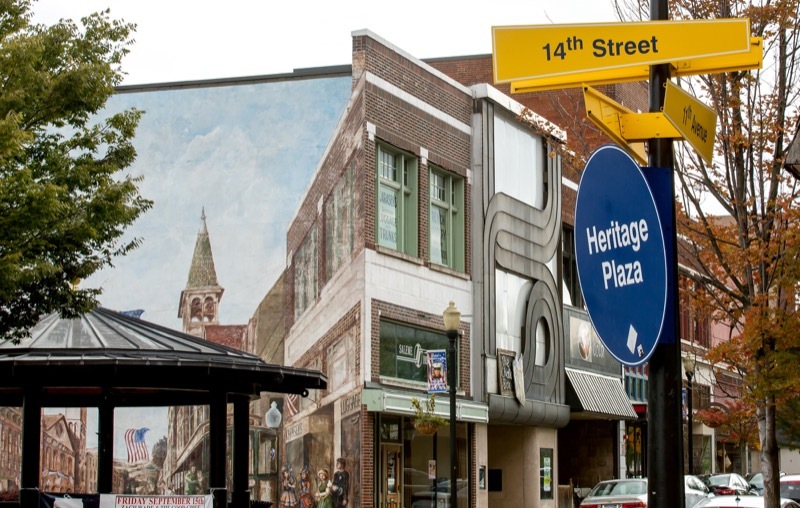 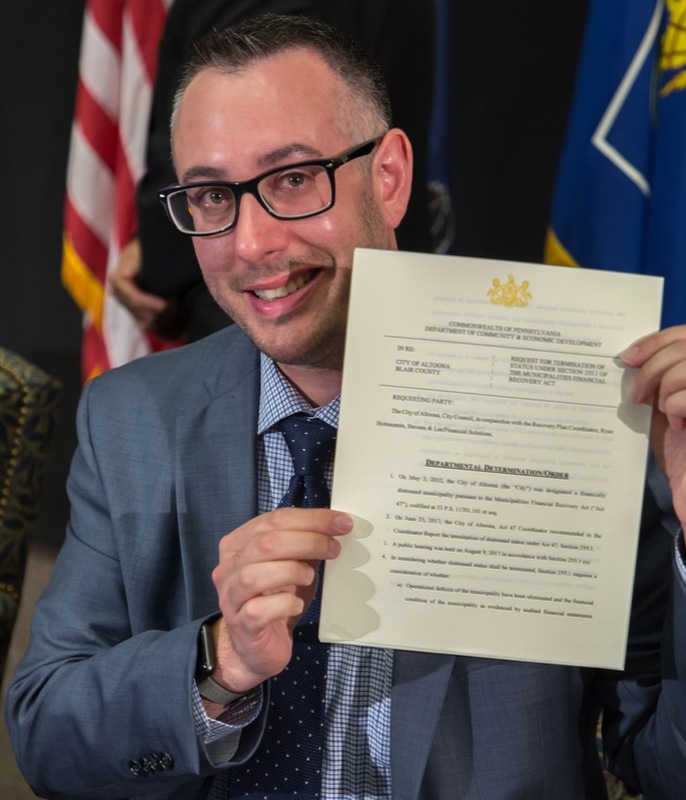 Harrisburg, PA - Today, on behalf of Governor Wolf, Department of Community and Economic Development (DCED) Secretary Dennis Davin announced that the City of Altoona's status as a distressed municipality under Act 47 is terminated. 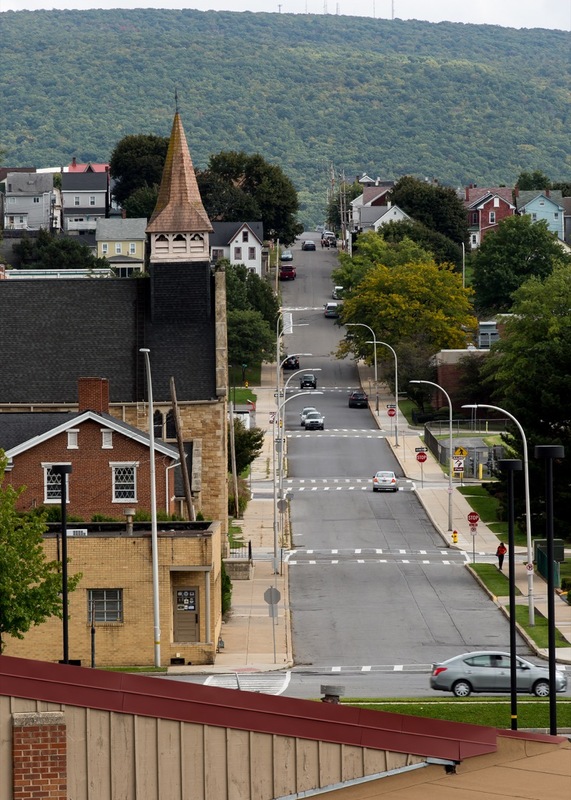 Altoona is the 13th municipality to exit the program and completed the fastest exit of distressed status by a city. 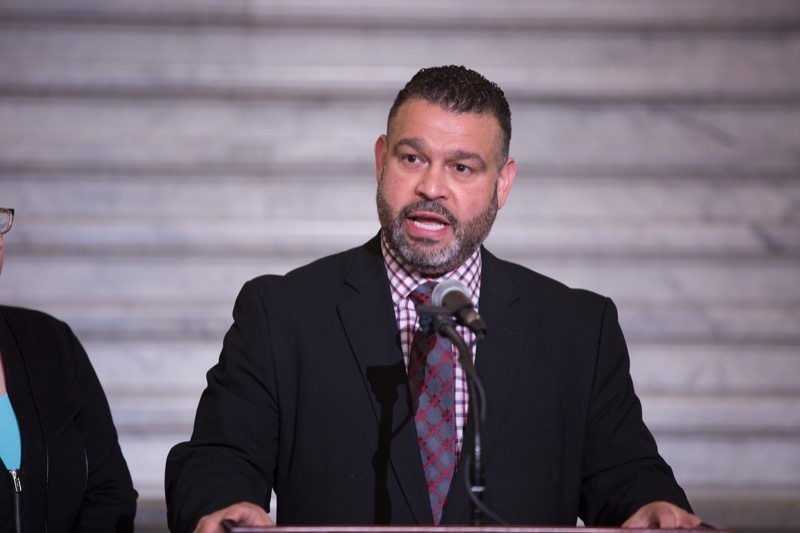 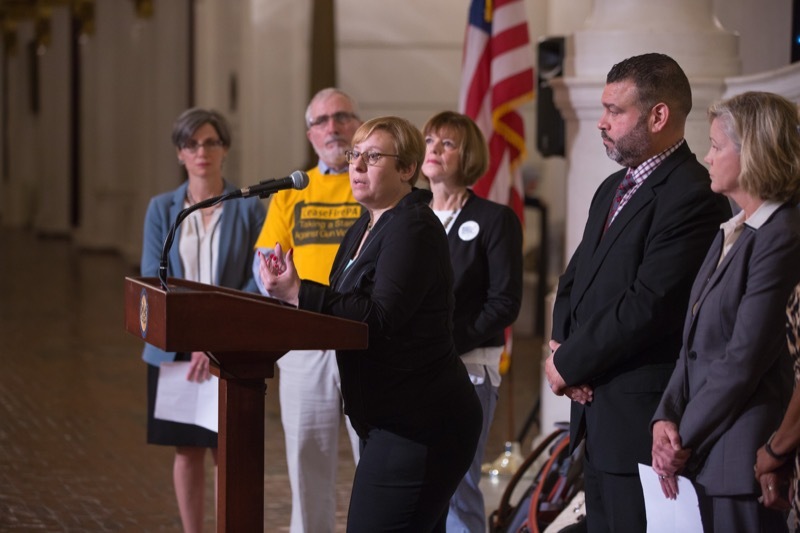 Secretary of Education Pedro A. Rivera today joined CeaseFirePA, Education Voters of Pennsylvania, and the Education Law Center to introduce new resources to help schools and communities promote school safety. 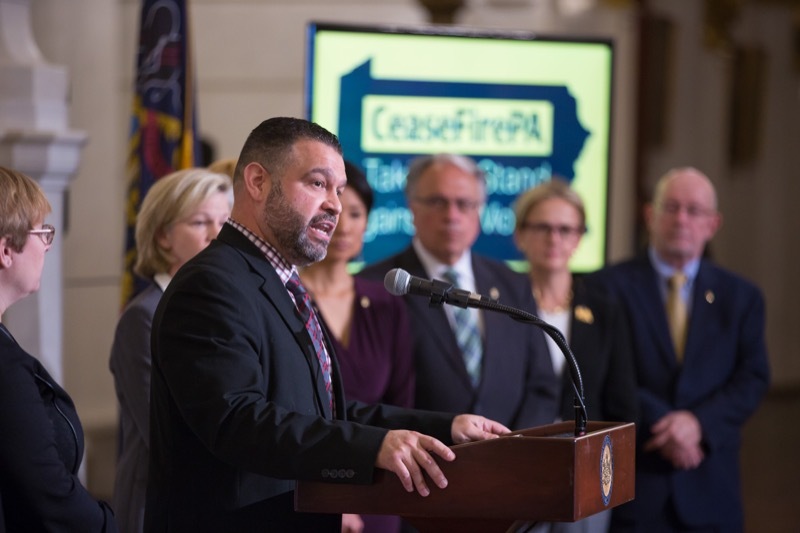 Secretary of Education Pedro A. Rivera today joined CeaseFirePA, Education Voters of Pennsylvania, and the Education Law Center to introduce new resources to help schools and communities promote school safety. 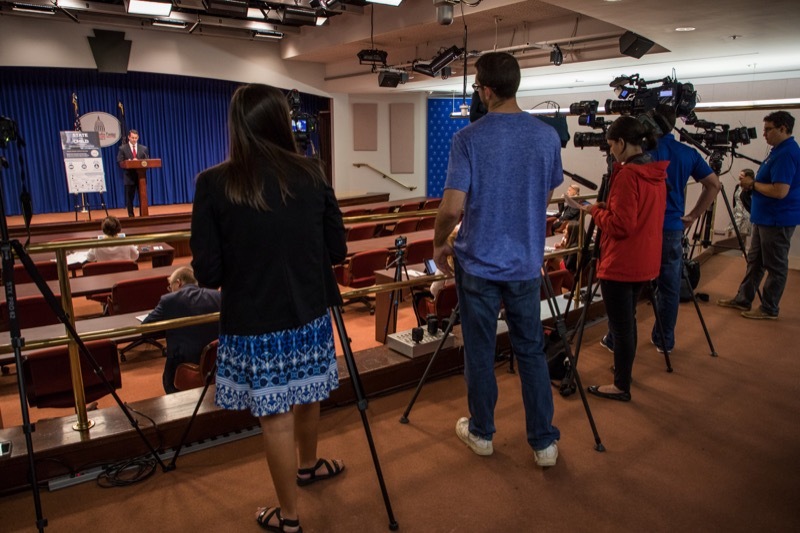 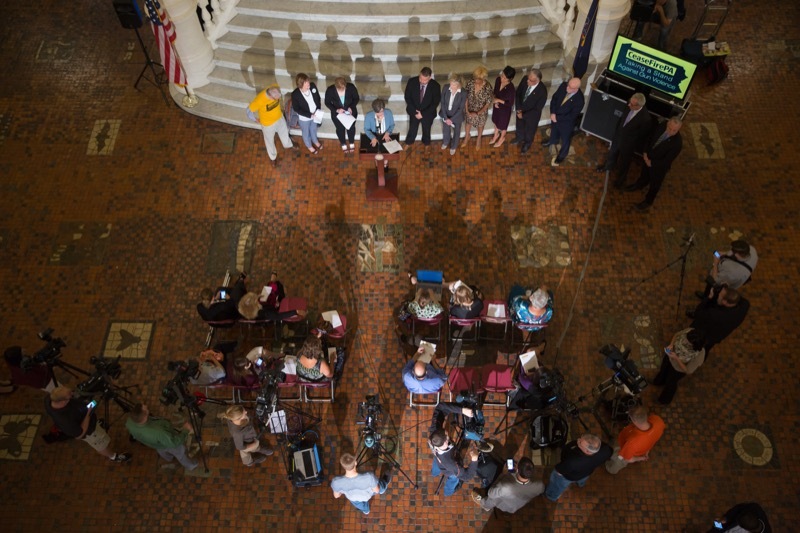 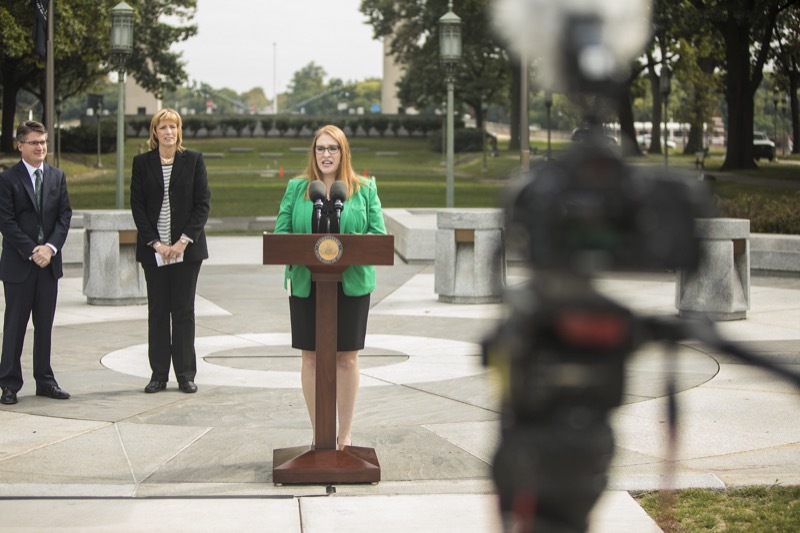 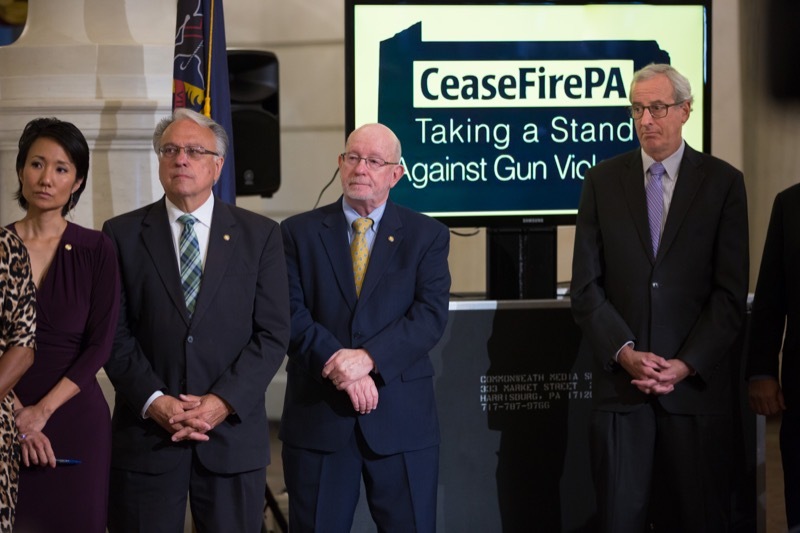 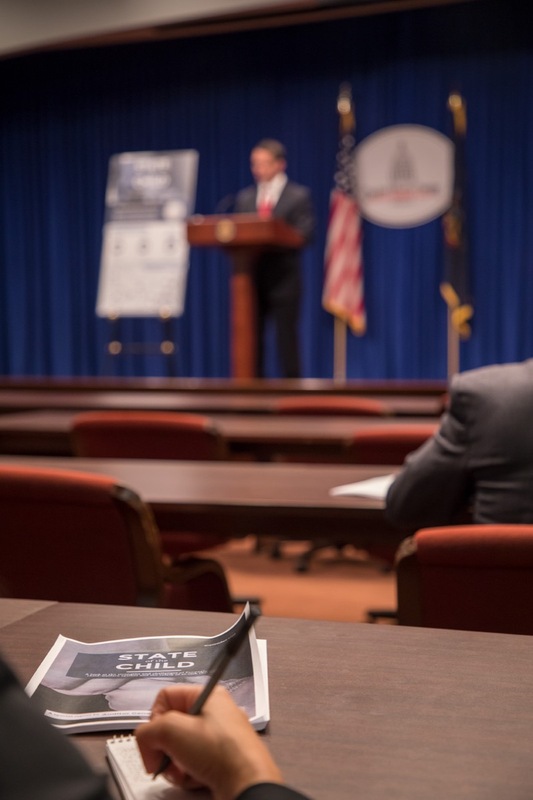 During the press conference, CeaseFirePA presented videos that educators, administrators, and community members can use to prevent gun violence. 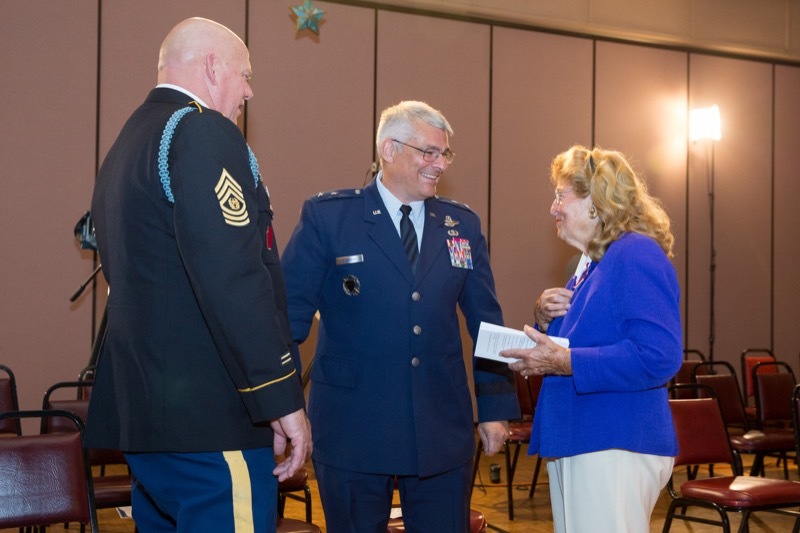 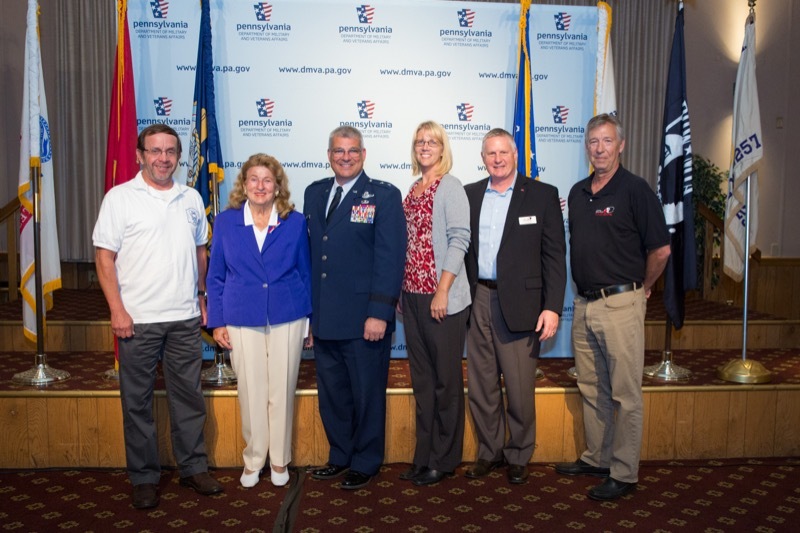 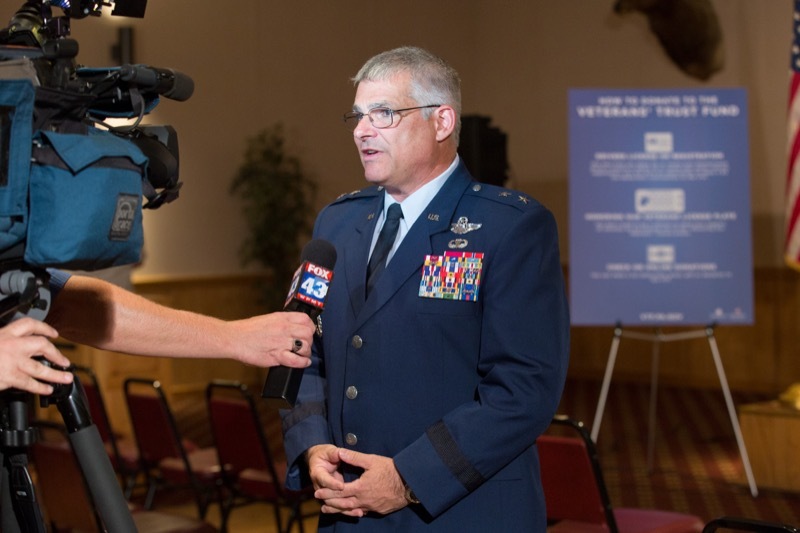 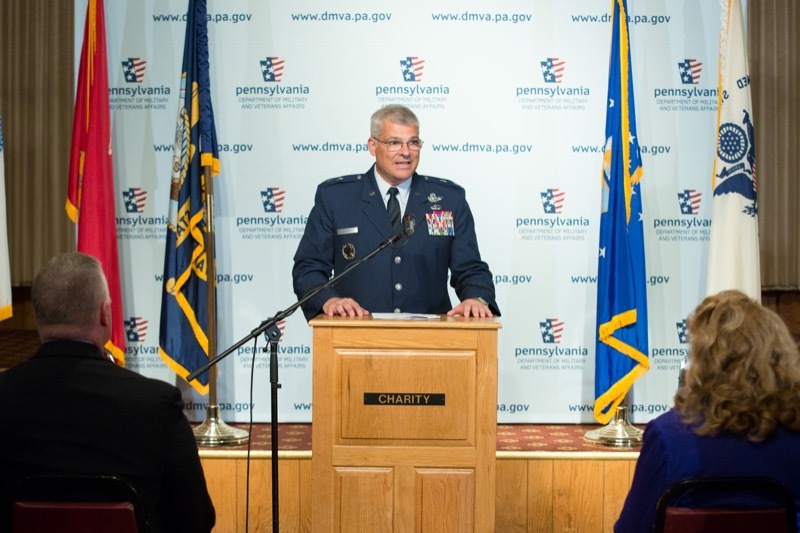 Maj. Gen. Tony Carrelli, Pennsylvania's adjutant general for the Department of Military and Veterans Affairs (DMVA), today at an event in Camp Hill hosted by Pennsylvania Wounded Warriors, personally thanked Veterans' Trust Fund (VTF) grant recipients for their work in support of the commonwealth's nearly 900,000 veterans. 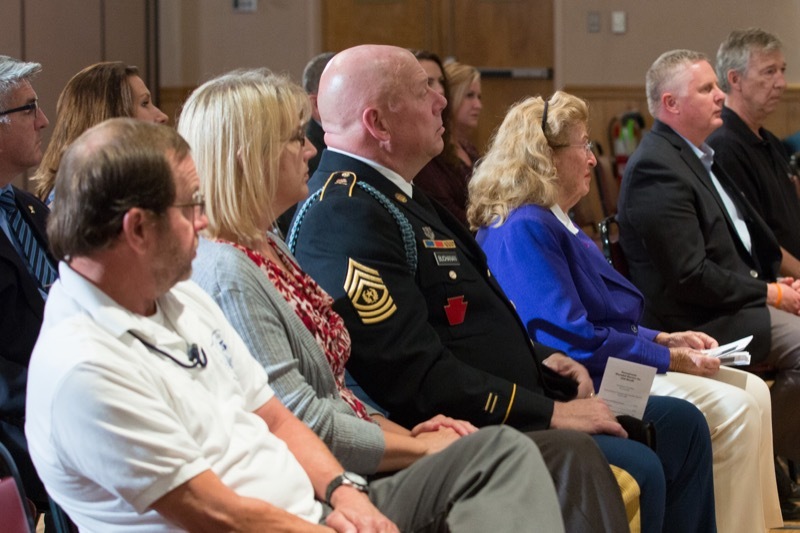 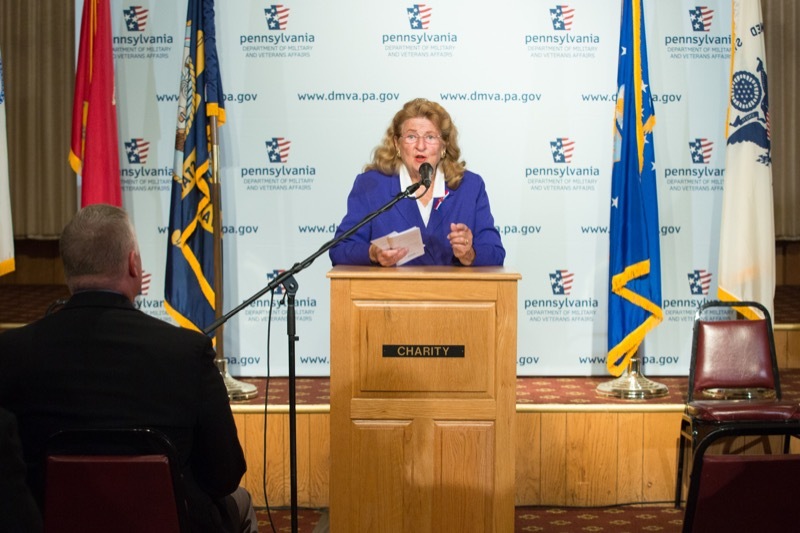 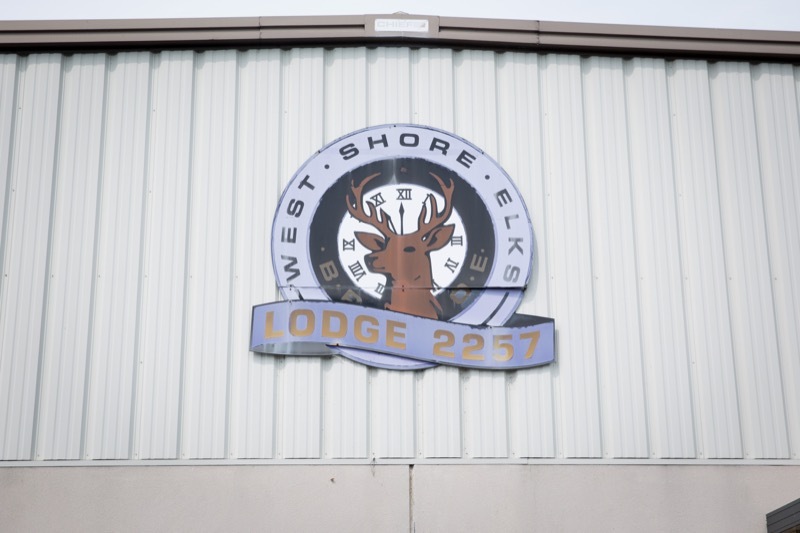 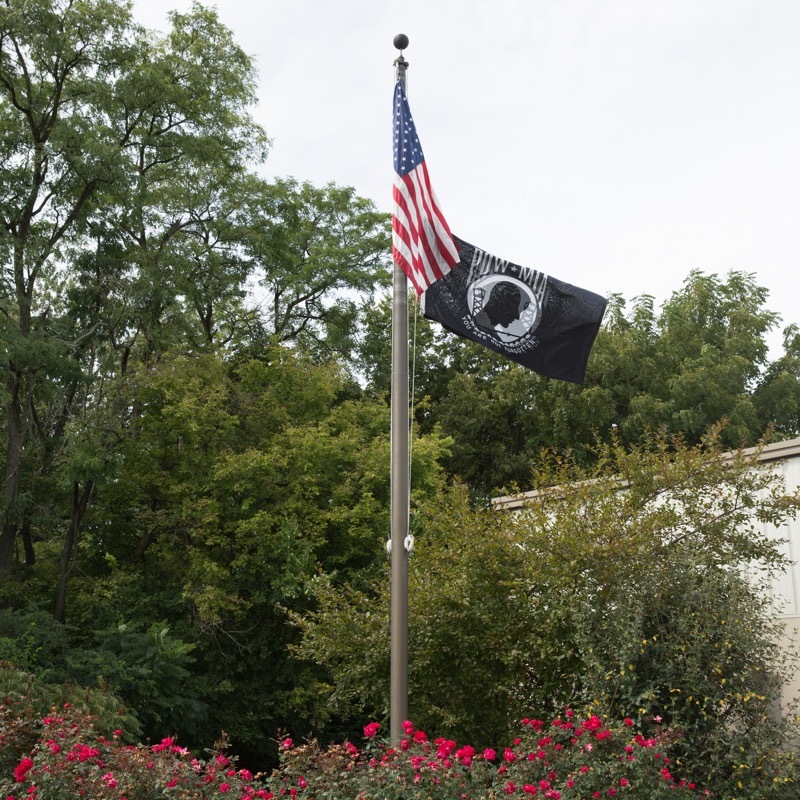 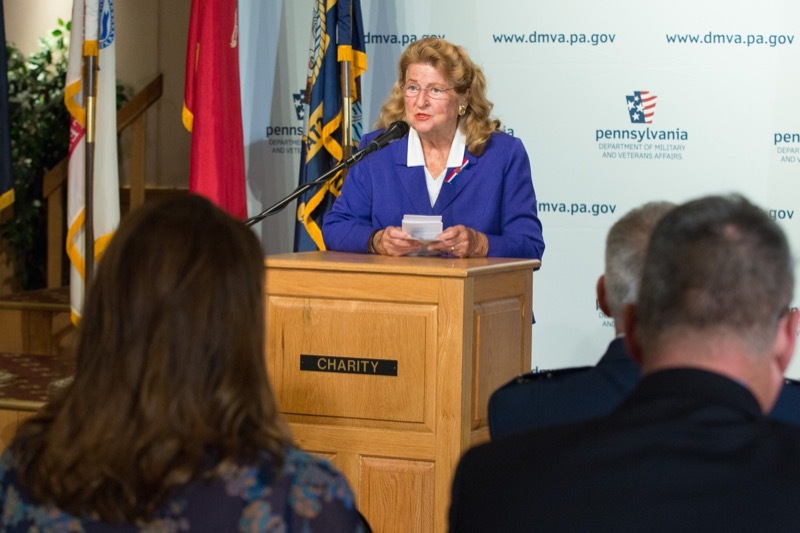 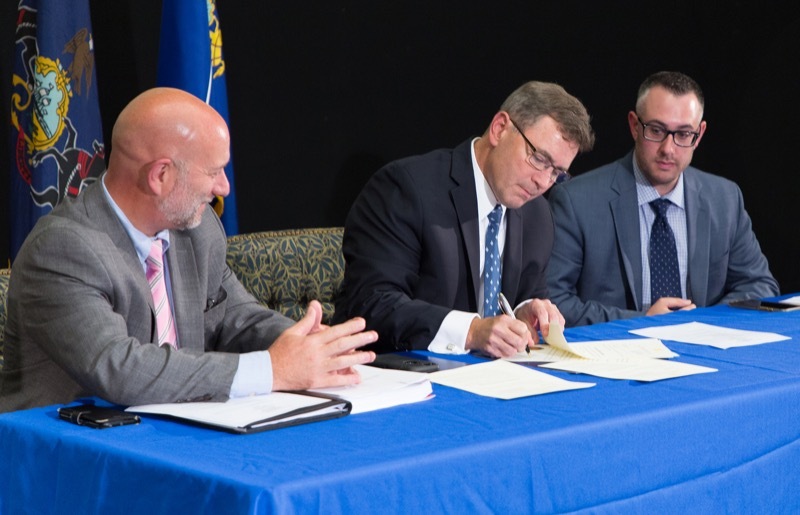 HARRISBURG, Pa. - Governor Tom Wolf announced today that 15 Pennsylvania counties' Veterans Affairs Offices will receive $150,000 in grants and 17 charitable or veteran service organizations will receive $500,000 in grants from the Pennsylvania Veterans' Trust Fund (VTF). 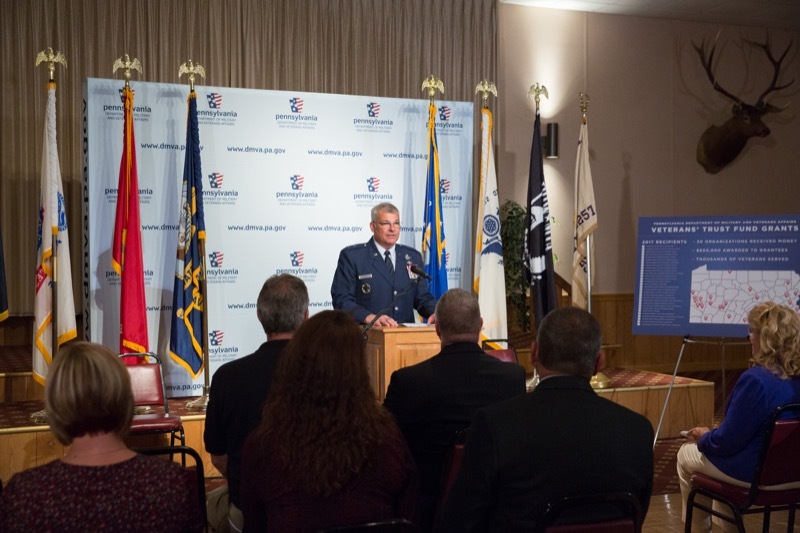 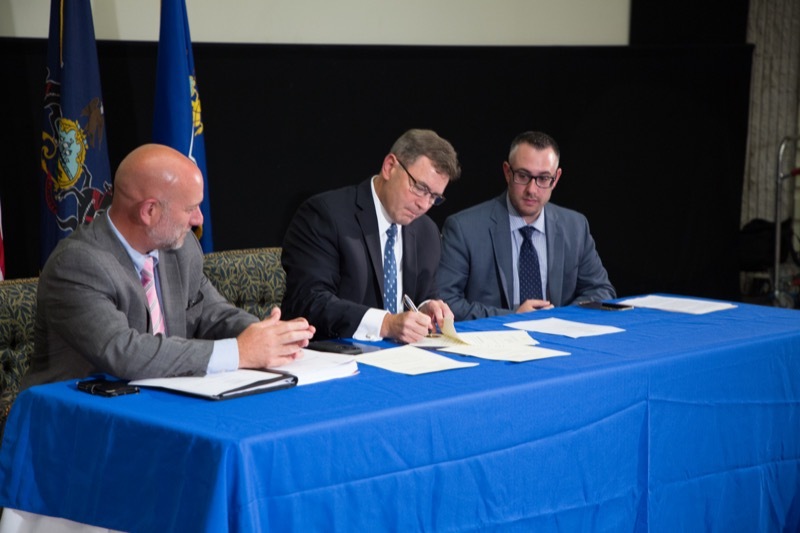 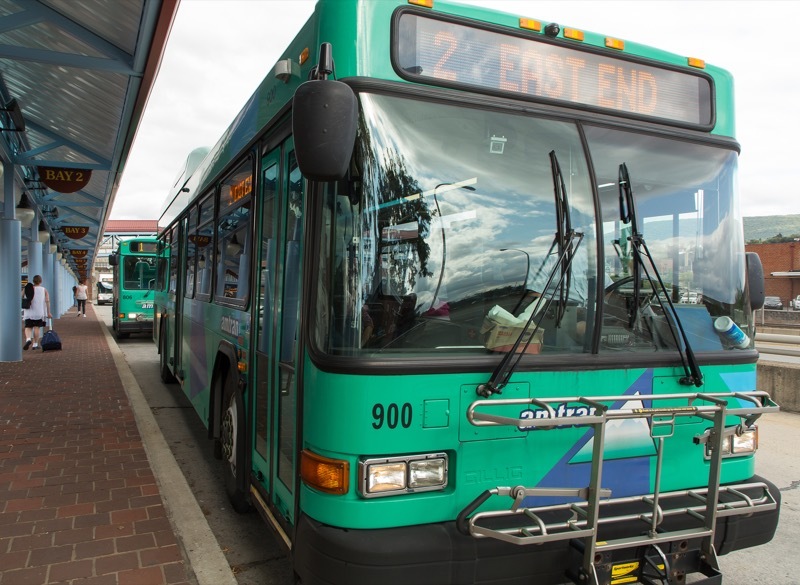 The VTF is administered by the Department of Military and Veterans Affairs (DMVA). 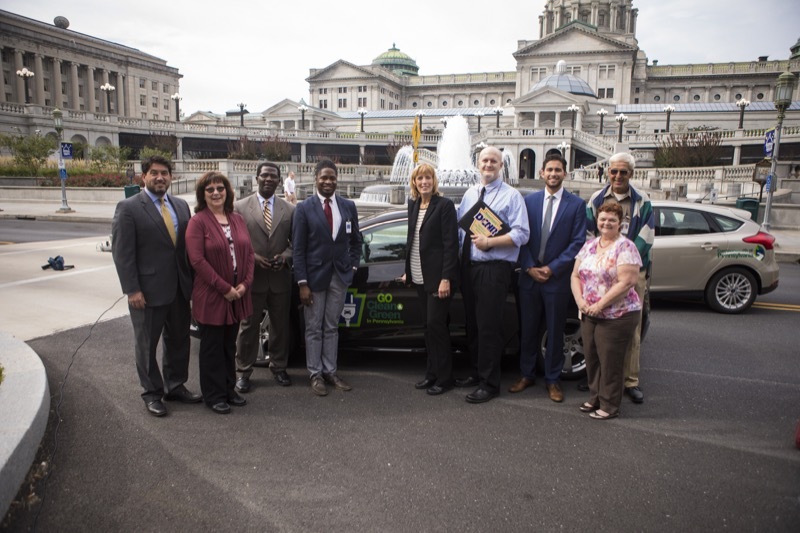 Harrisburg, PA - Pennsylvania Department of General Services Secretary Curt Topper was joined by Pennsylvania Department of Conservation and Natural Resources Secretary Cindy Adams Dunn and Pennsylvania Department of Environmental Protection Policy Director Jessica Shirley today to officially launch the Commonwealth's Hybrid/Electric Vehicles Pilot Program. 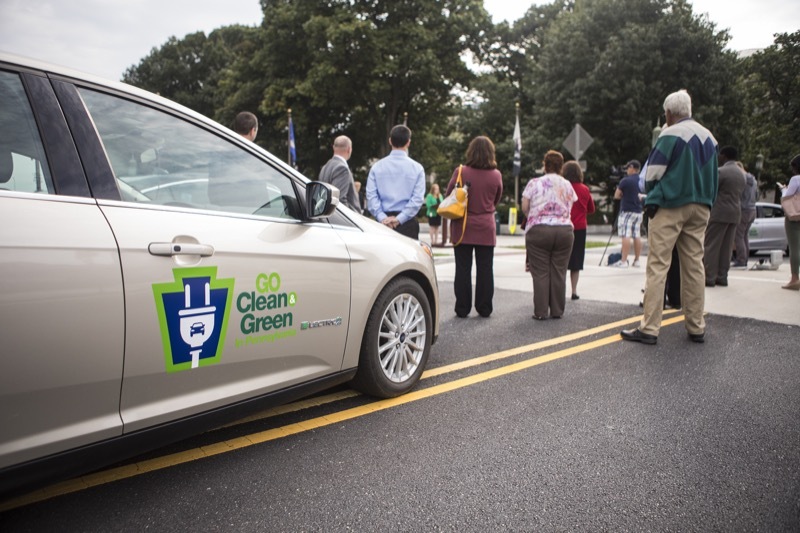 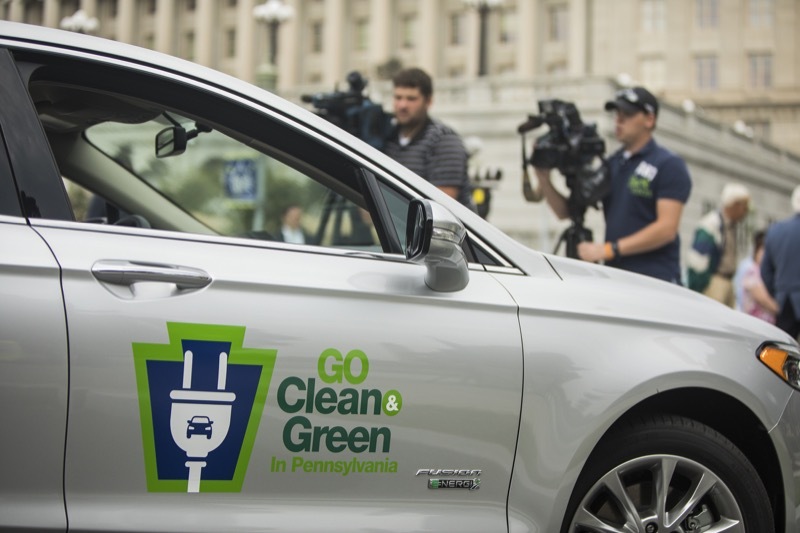 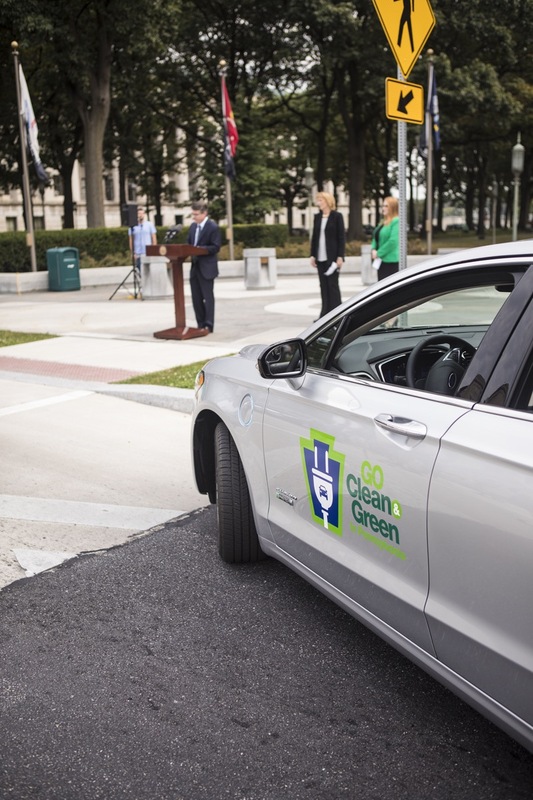 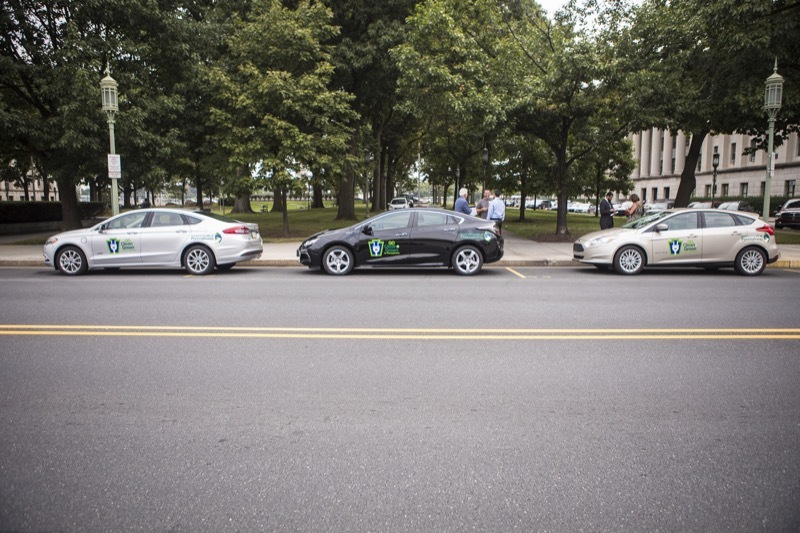 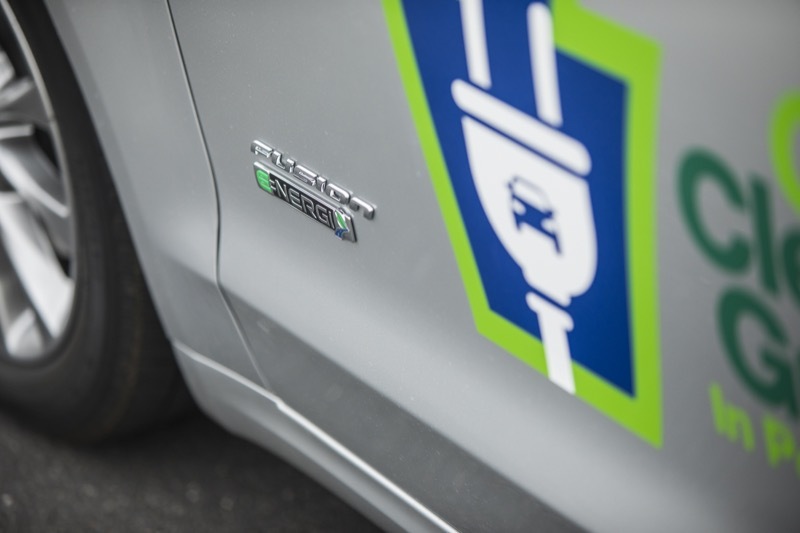 Pennsylvania Department of General Services Secretary Curt Topper was joined by Pennsylvania Department of Conservation and Natural Resources Secretary Cindy Adams Dunn and Pennsylvania Department of Environmental Protection Policy Director Jessica Shirley today to officially launch the Commonwealth's Hybrid/Electric Vehicles Pilot Program. 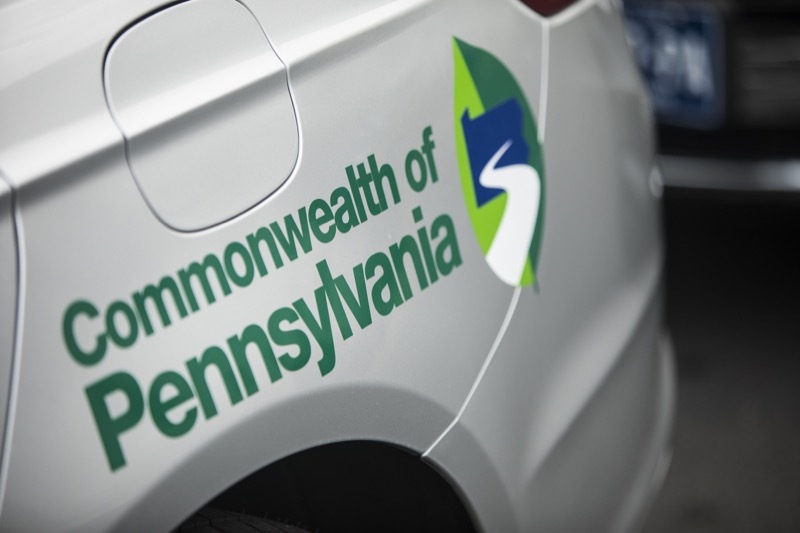 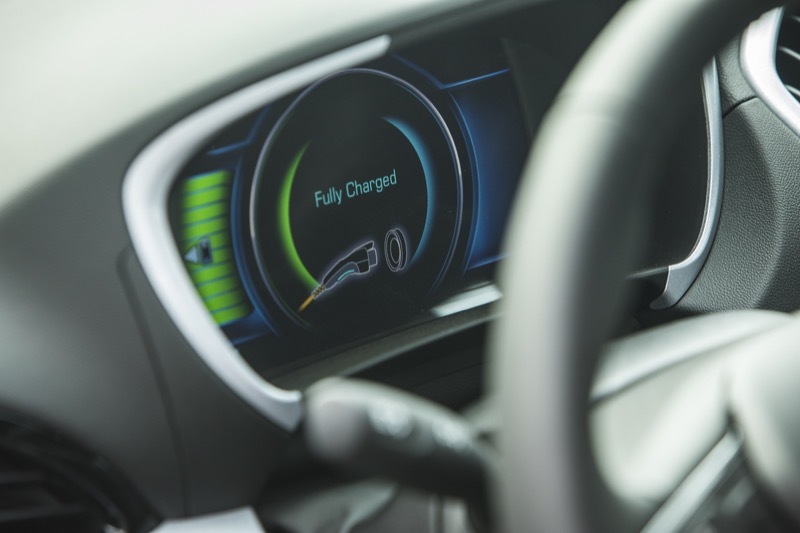 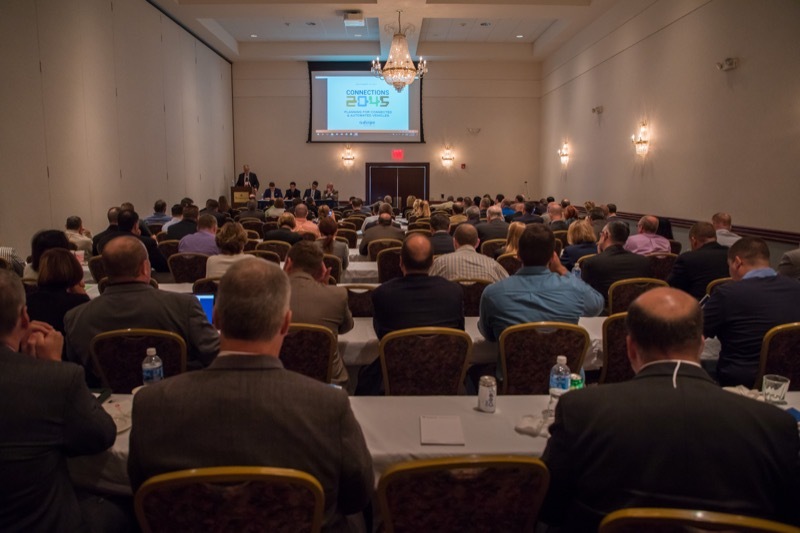 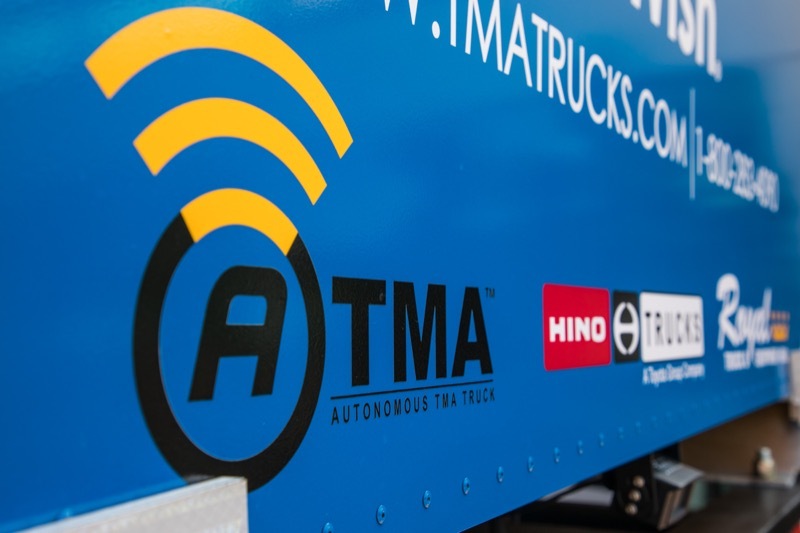 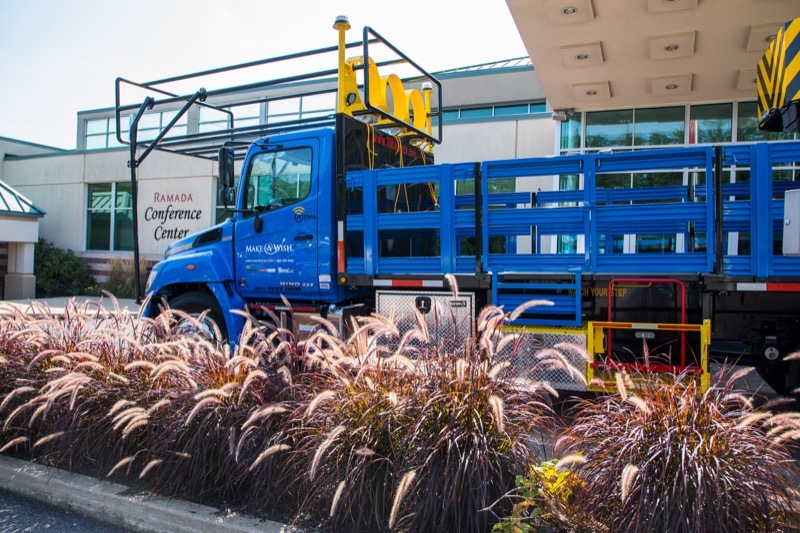 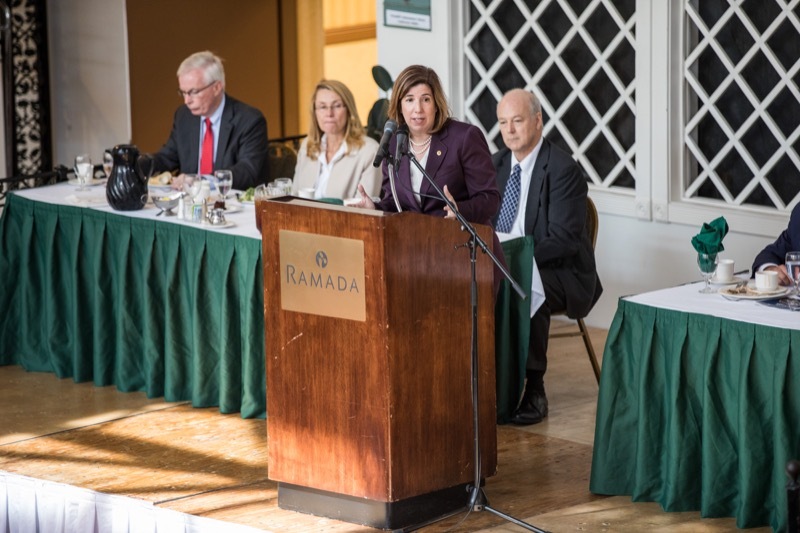 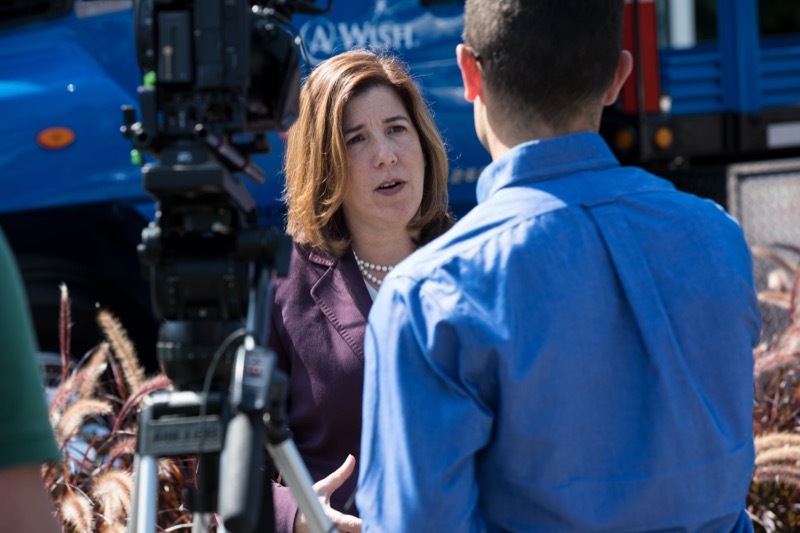 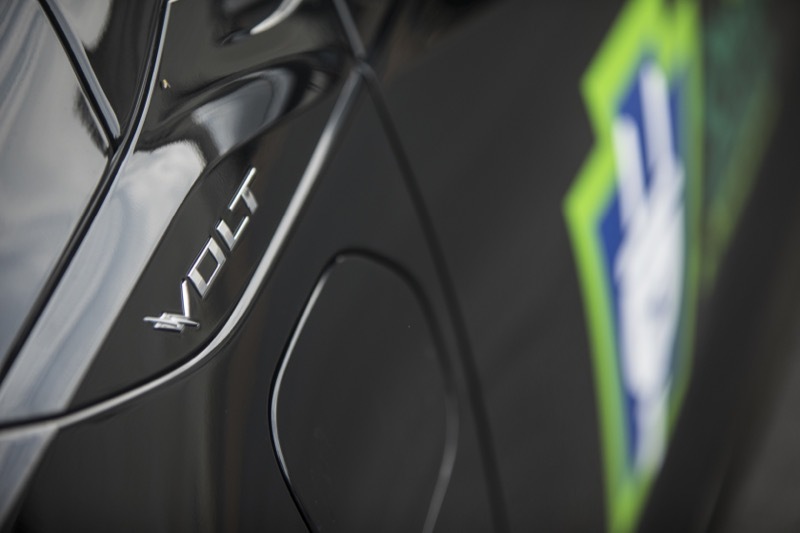 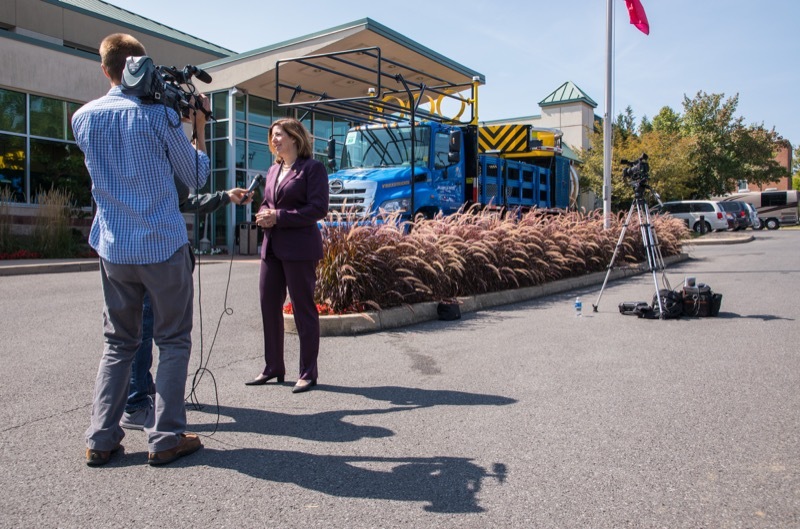 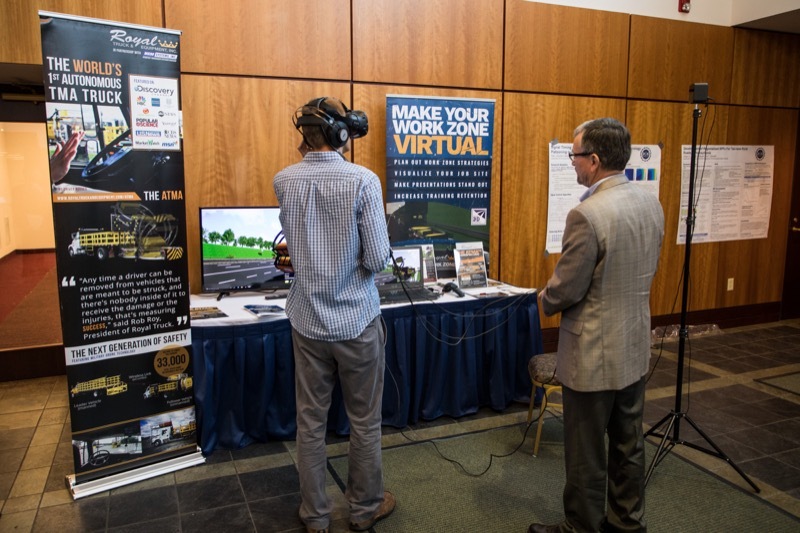 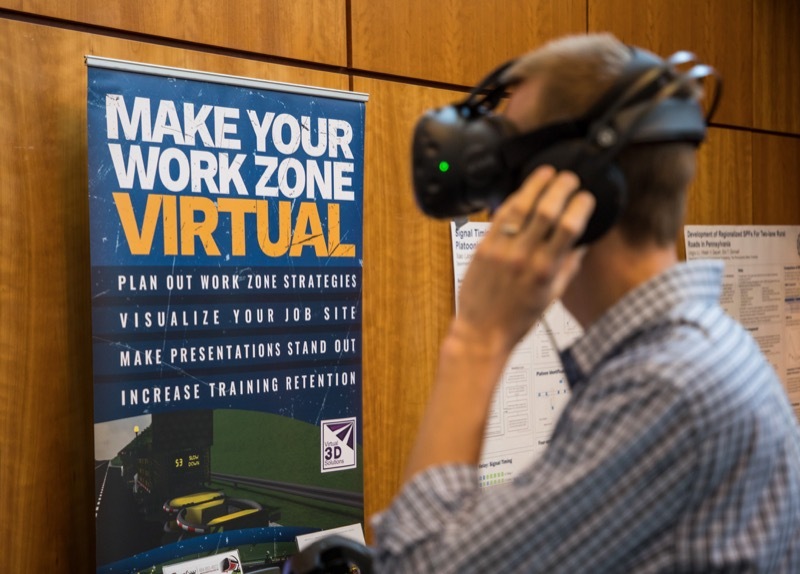 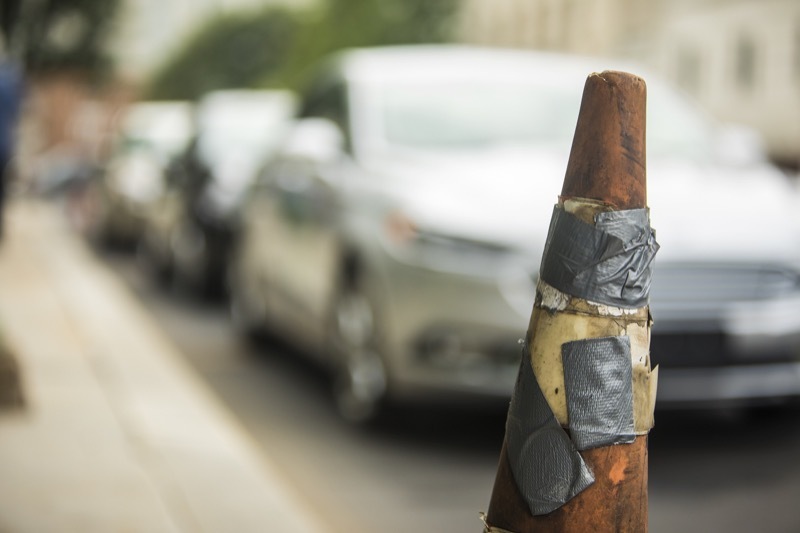 Wolf Administration officials from the departments of Transportation (PennDOT), Community and Economic Development (DCED), Labor & Industry (L&I), and State Police (PSP) are taking part in the state's first Automated Vehicle Summit in State College. 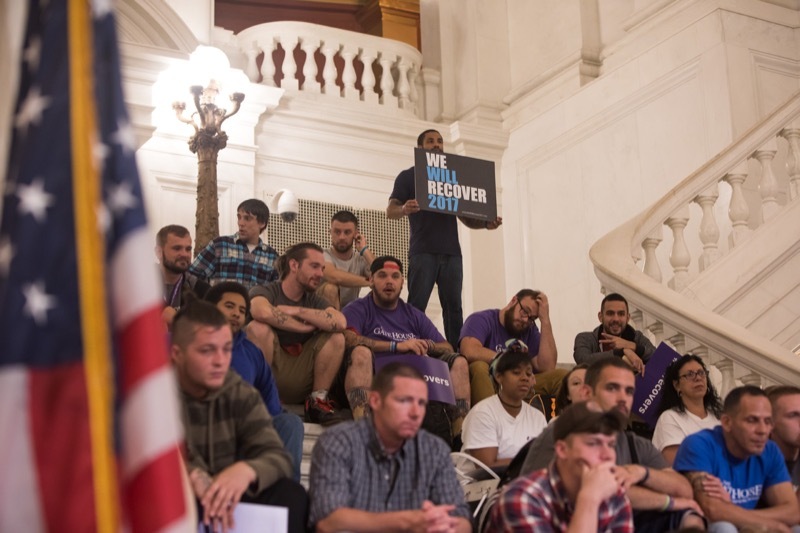 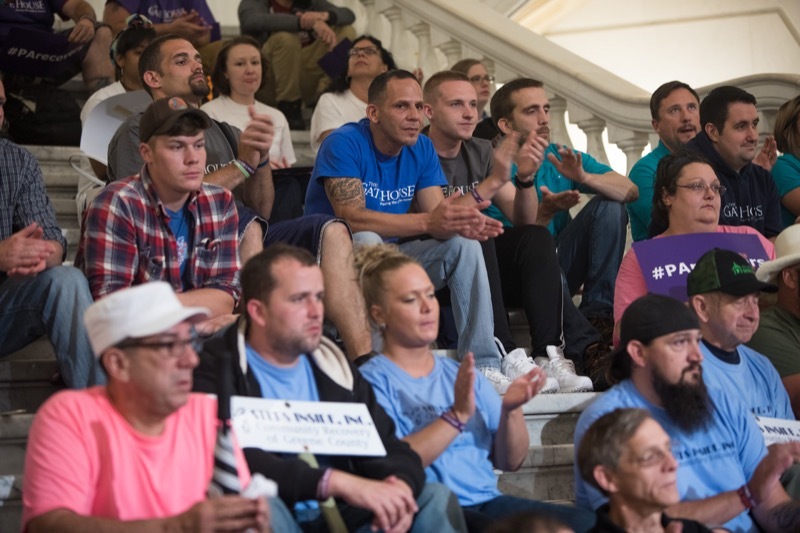 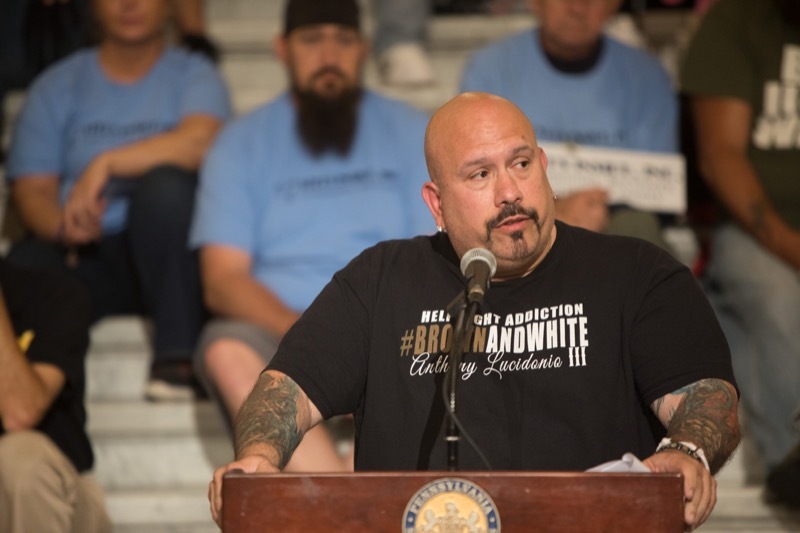 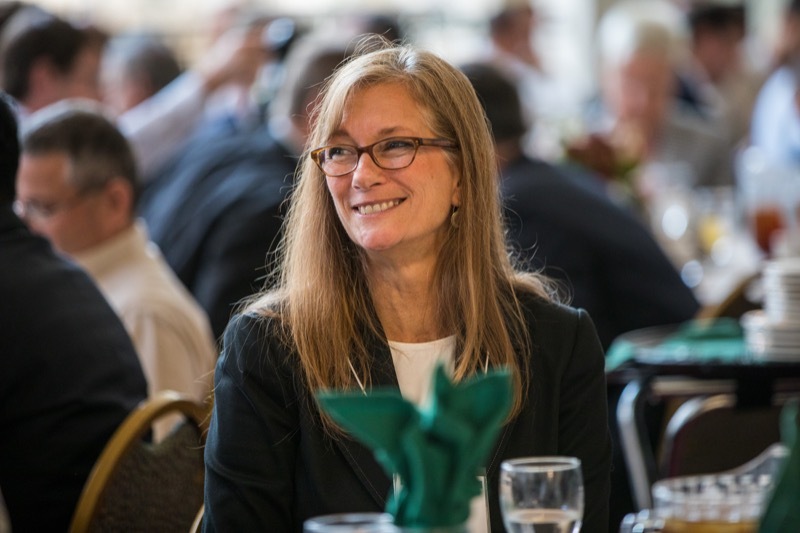 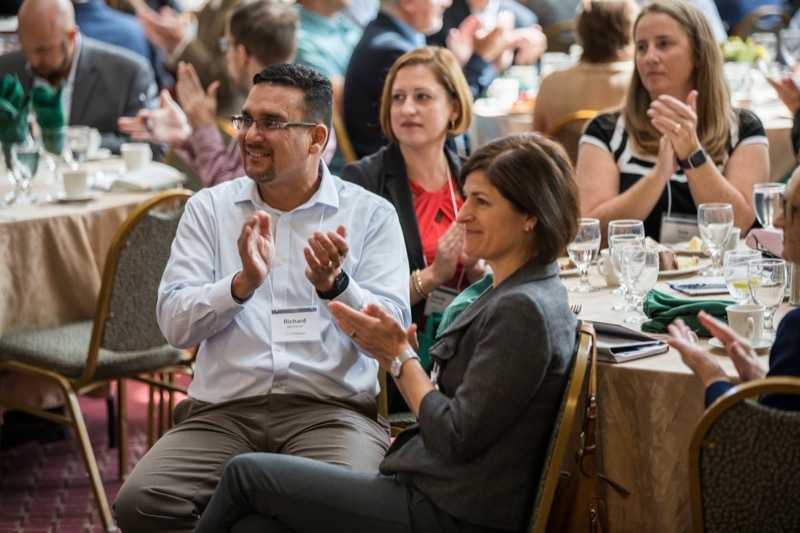 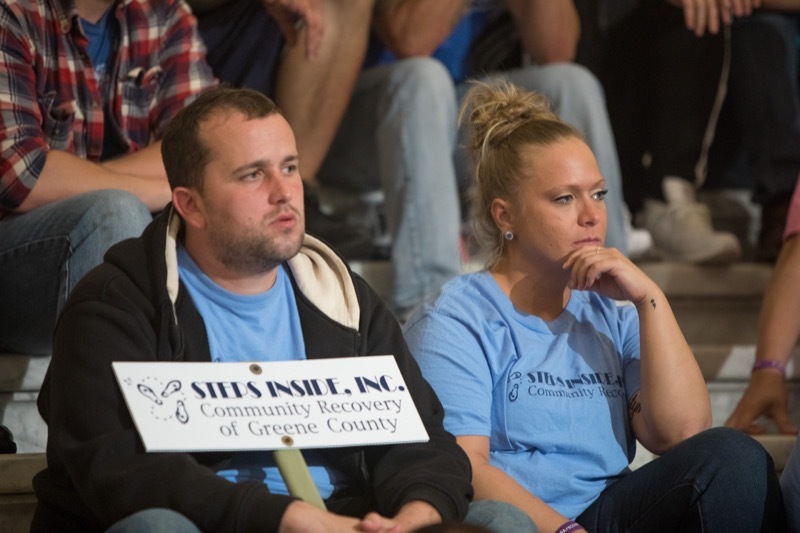 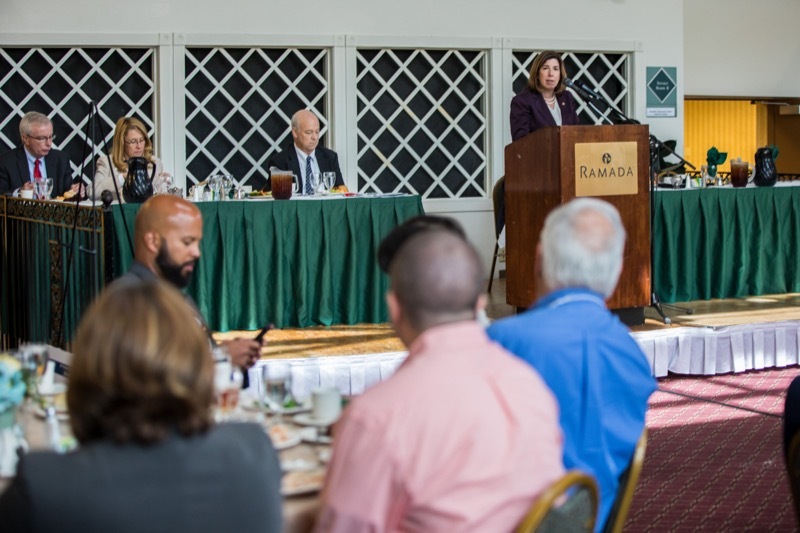 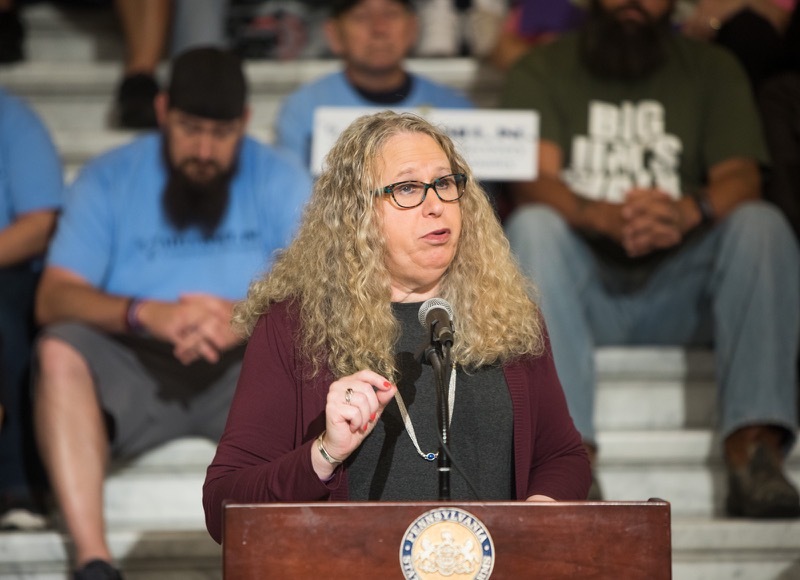 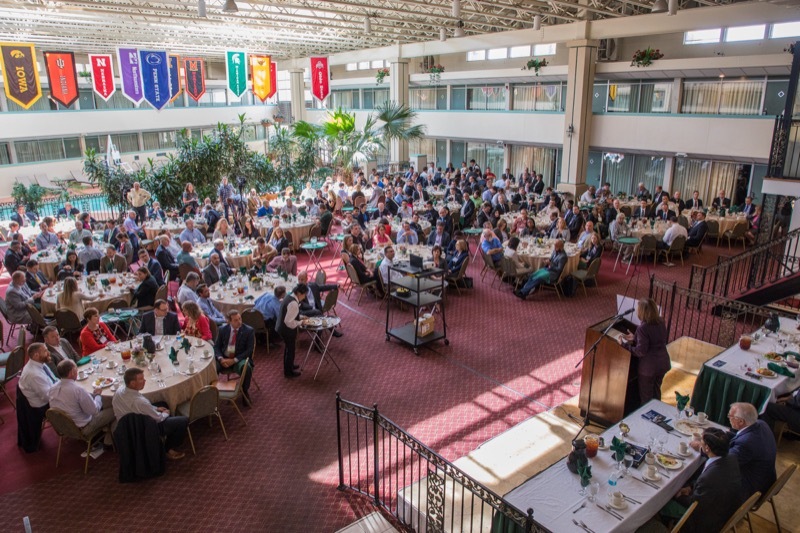 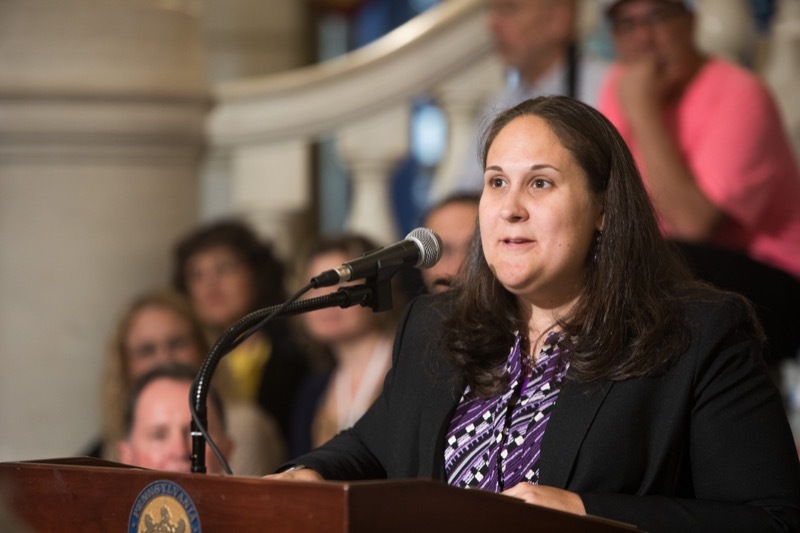 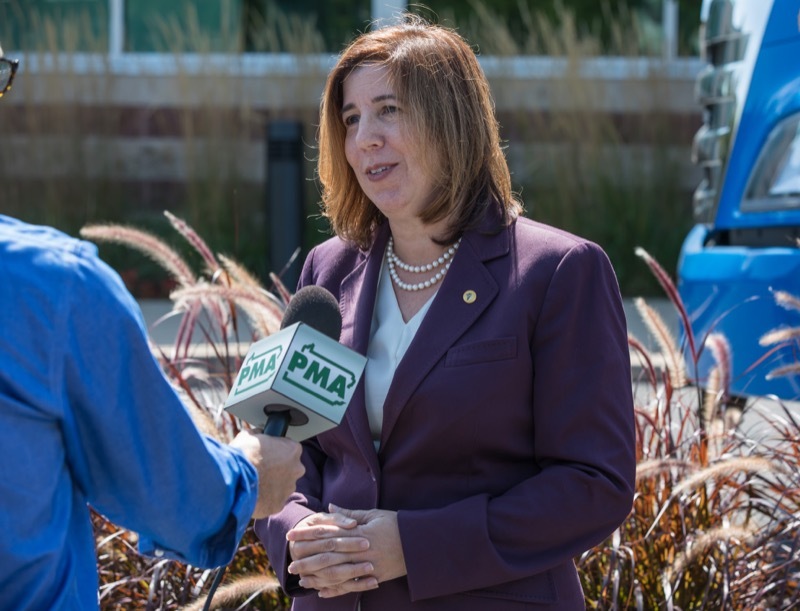 Pennsylvanians in long-term recovery will talk about their personal stories at the statewide kick-off National Recovery Month in Pennsylvania. 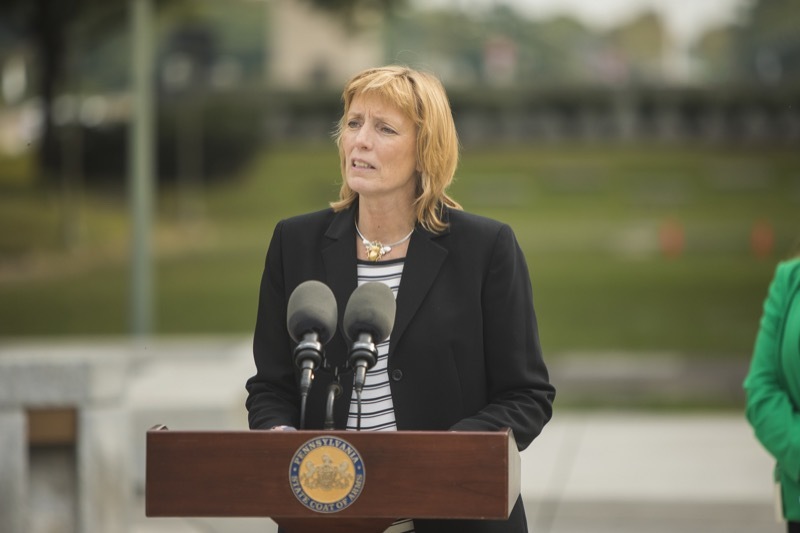 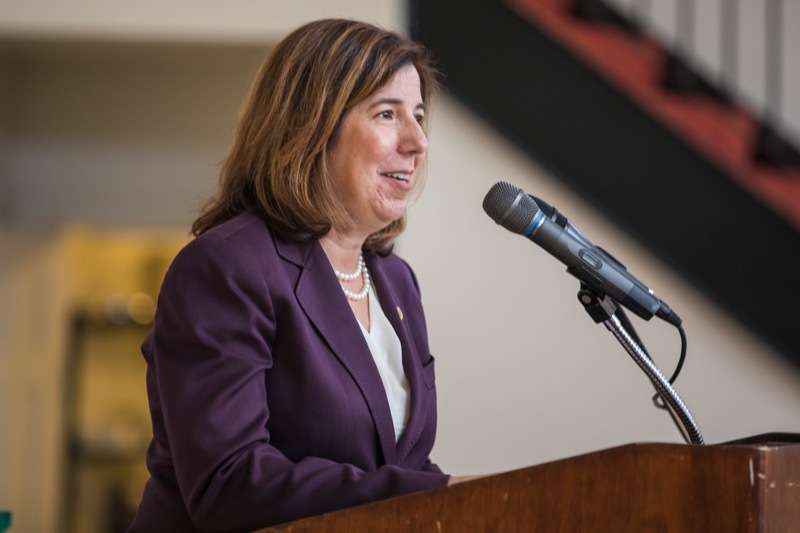 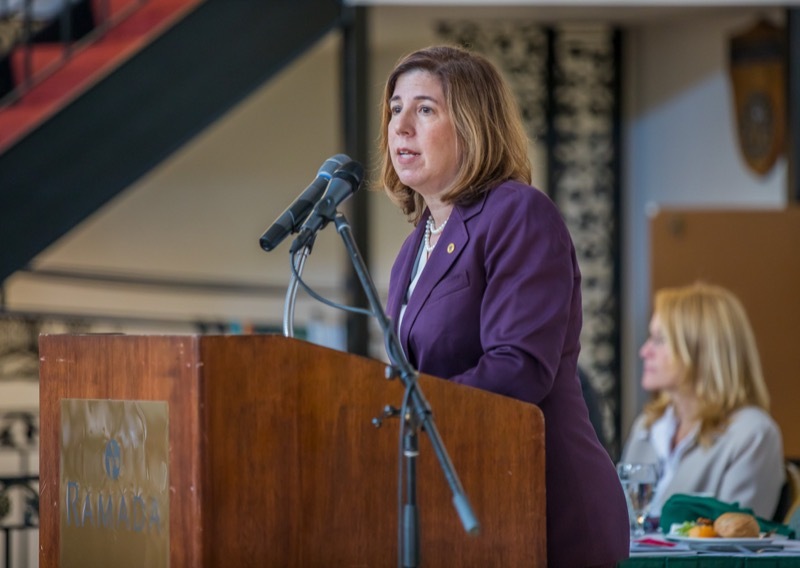 In addition, Acting Secretary of the Department of Drug and Alcohol Programs (DDAP) Jennifer Smith, Acting Secretary of Health and Physician General Dr. Rachel Levine, Secretary of Aging Teresa Osborne, will attend and discuss the Wolf administration's commitment to continue support to help get people suffering from addiction into treatment and recovery.